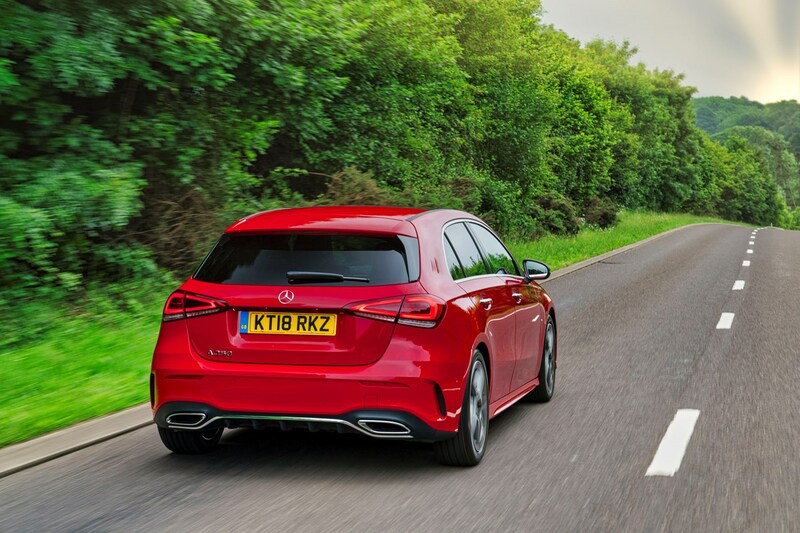 Which Mercedes-Benz A-Class Hatchback is best for me? 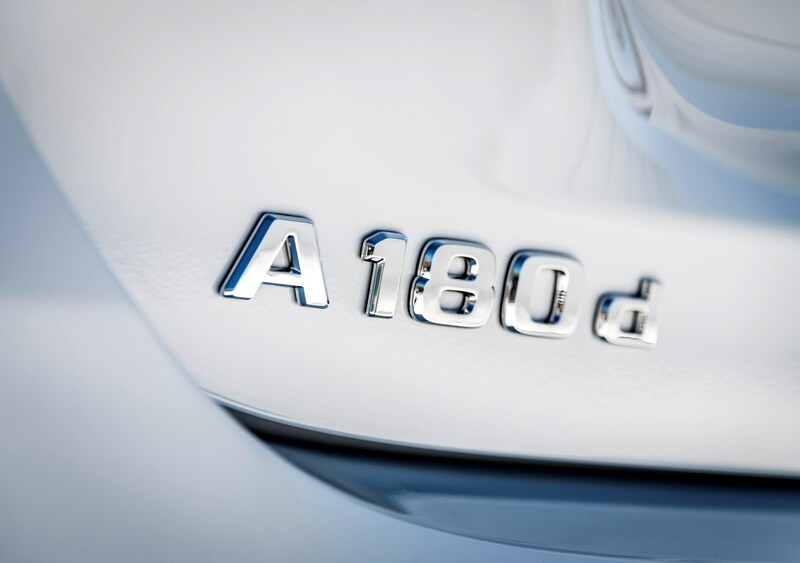 The A 180 d is the entry-level A-Class, also claiming the best claimed average fuel consumption figures. 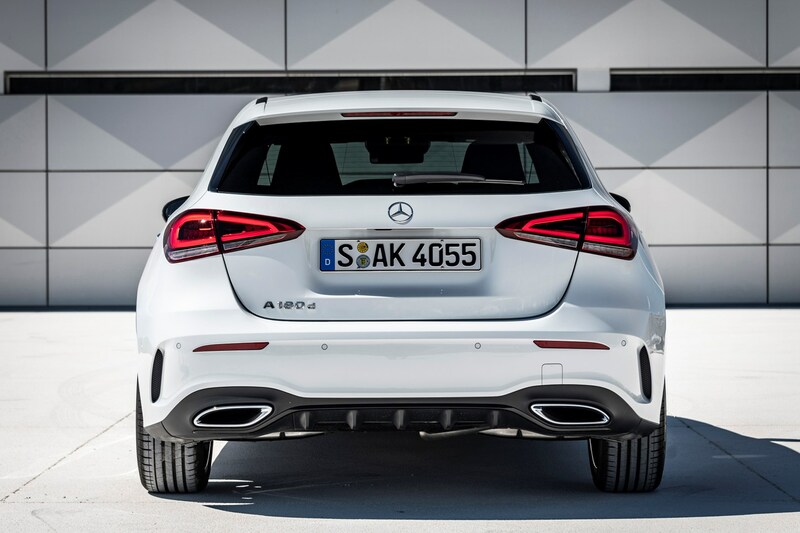 This will likely be popular with fleet customers and those who do high annual mileages. 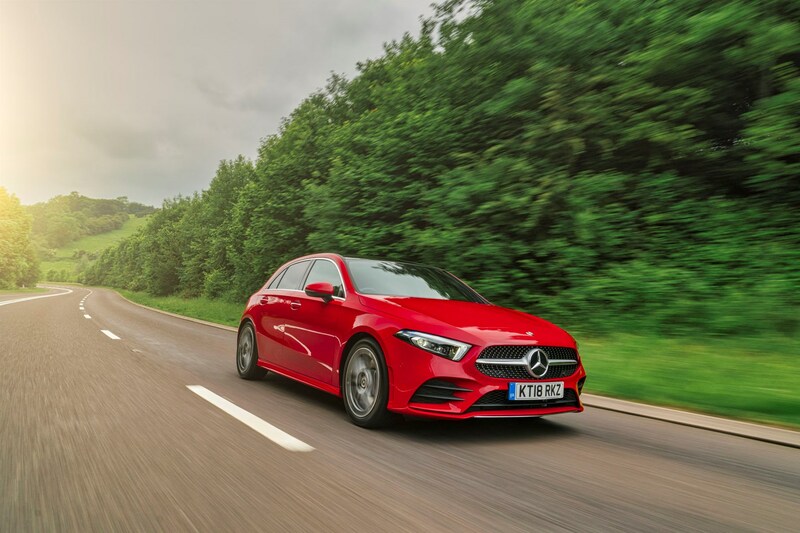 However, we wouldn't write off the A 200 petrol for high-mileage drivers, as we found it easy to return high fuel economy with its 1.3-litre petrol engine. 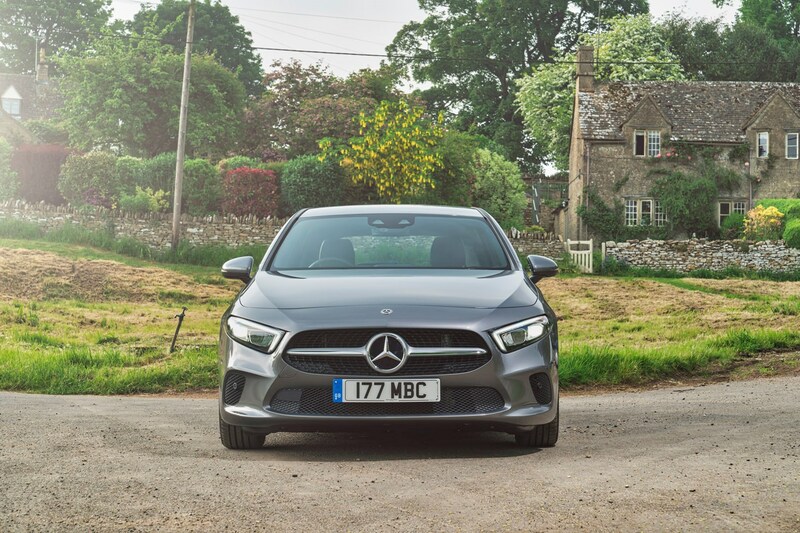 Company car drivers will also likely find joy in the A 180 d, although if outright fuel economy isn’t their highest priority, the A 200 will also be an option. 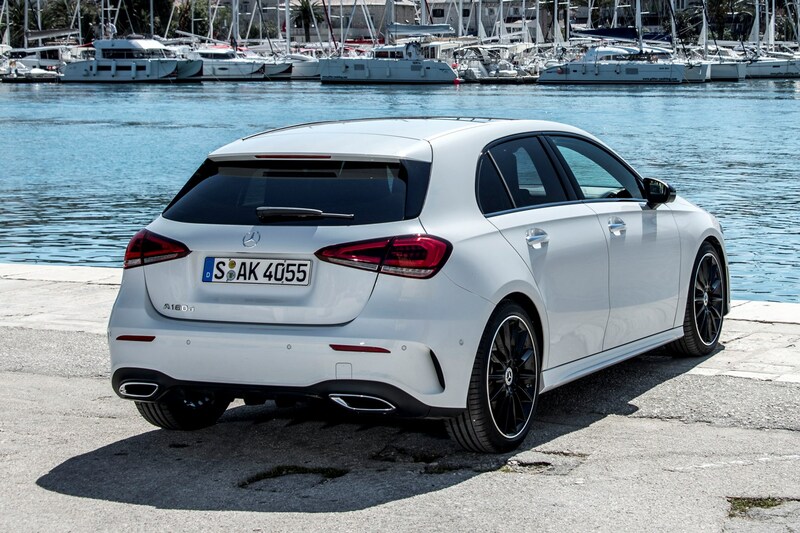 For the most potent A-Class on sale, only the AMG A 35 version will do. 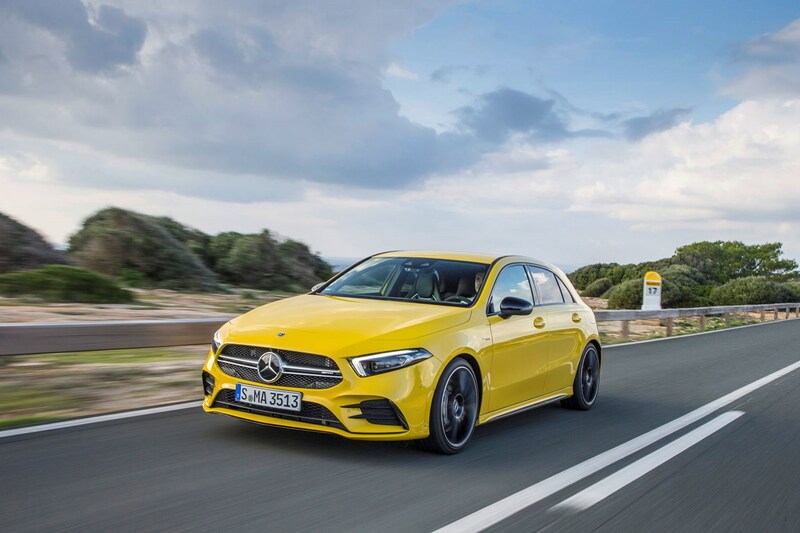 Packing 306hp and 400Nm of torque through 4Matic all-wheel drive and a seven-speed automatic gearbox, it’s capable of 0-62moh in 4.7 seconds and a top speed of 155mph. 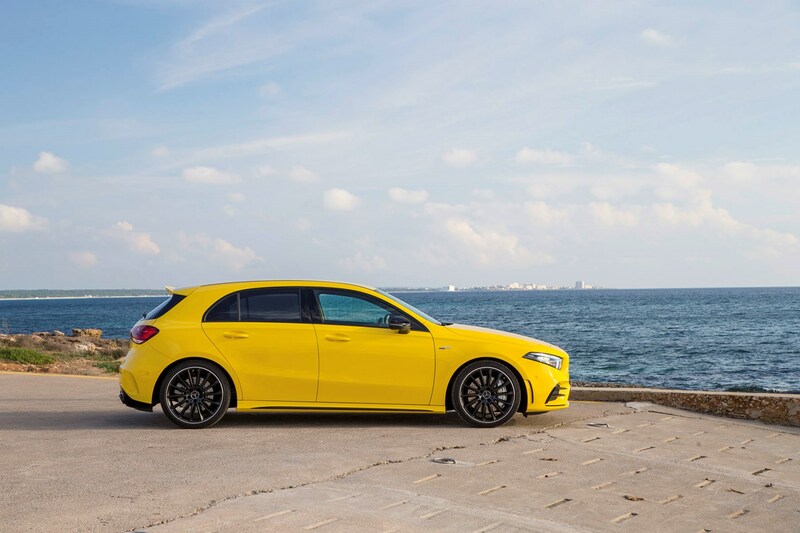 New to the range for this fourth generation of Mercedes-Benz A-Class is the AMG A 35 performance model. 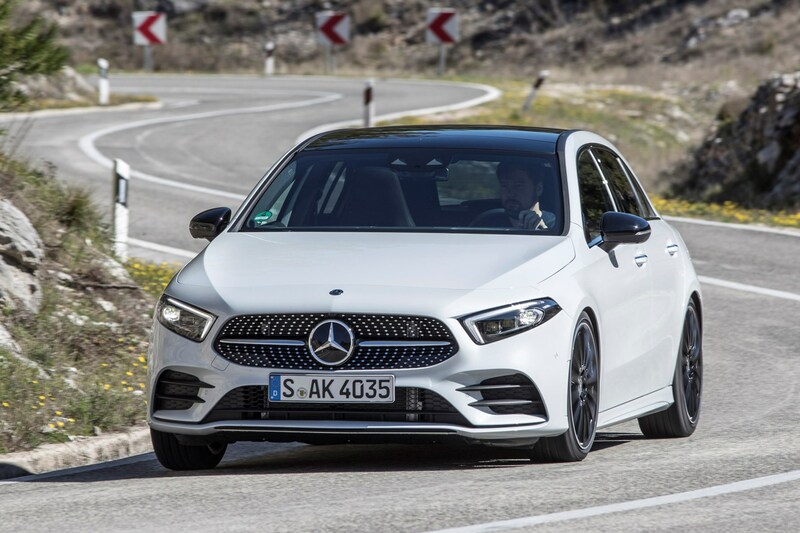 It’s aimed at bridging the gap between the mainstream A-Class versions and range-topping AMG A45, due at some point in the next couple of years. 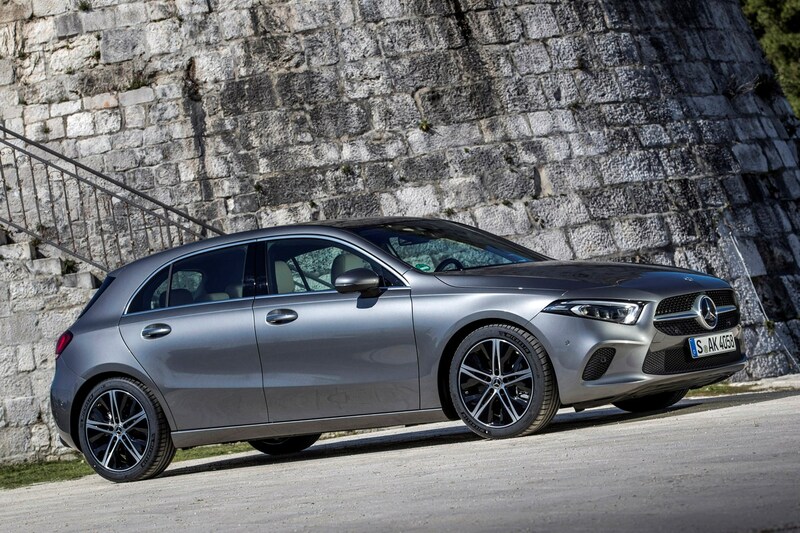 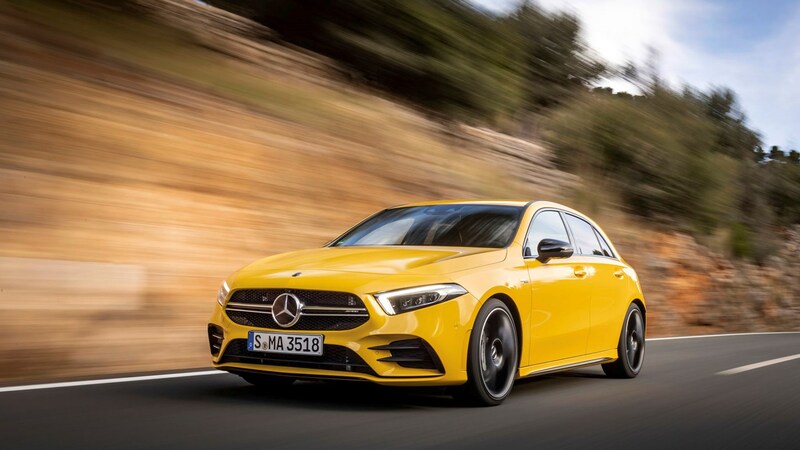 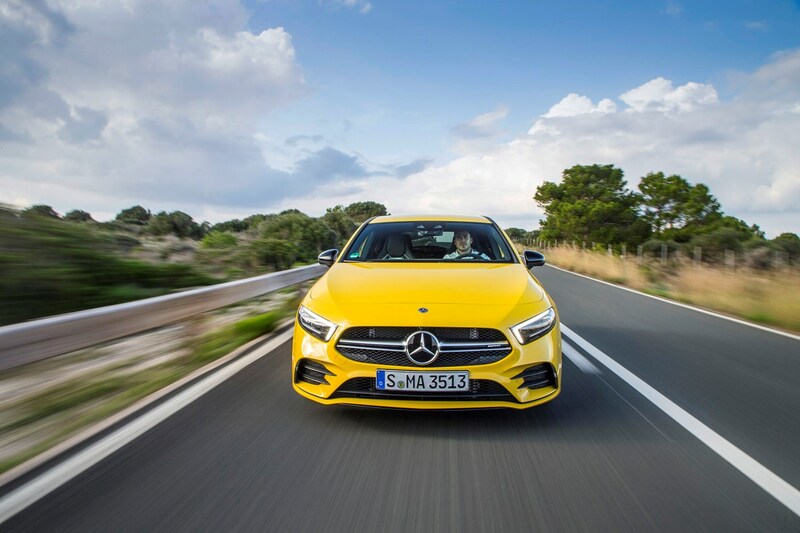 Mercedes-AMG refers to it as the entry-level model in its range, and while such a title will likely conjure up images of a lukewarm performance hatchback, the raw figures suggest anything but. 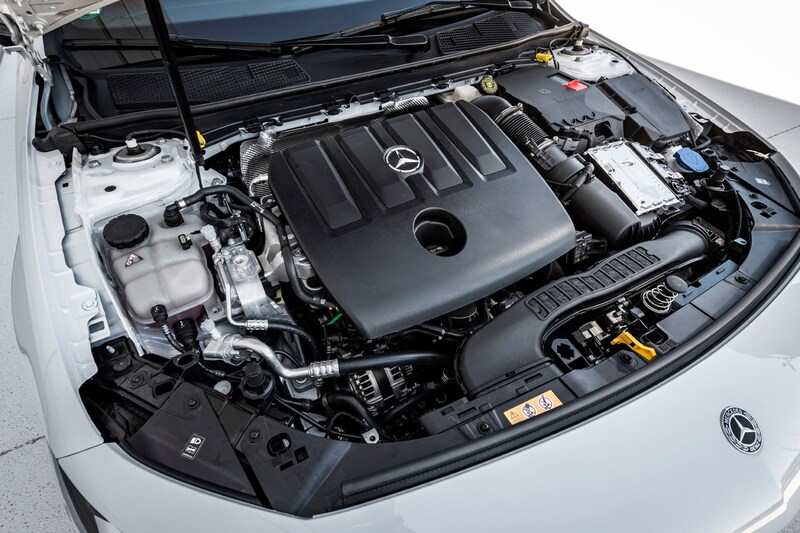 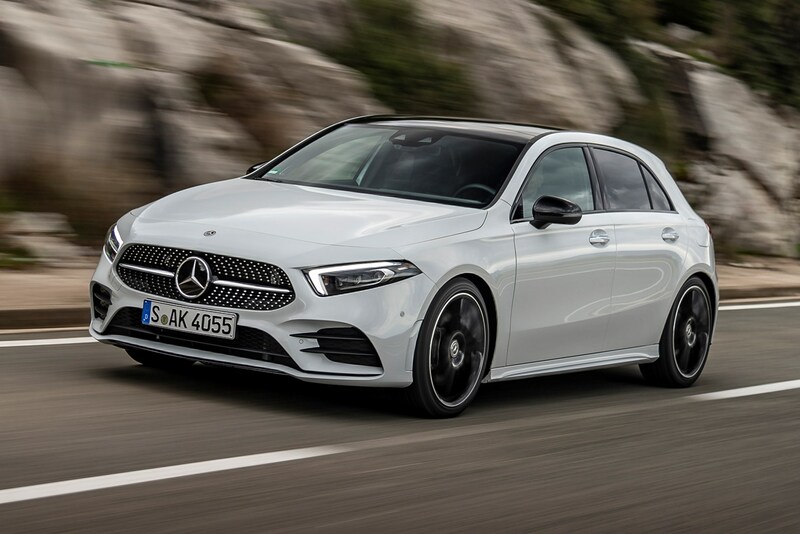 Under the bonnet is a 2.0-litre four-cylinder turbocharged engine producing 306hp and 400Nm of torque, transferred to all four wheels (4Matic all-wheel drive) via a seven-speed dual-clutch transmission. 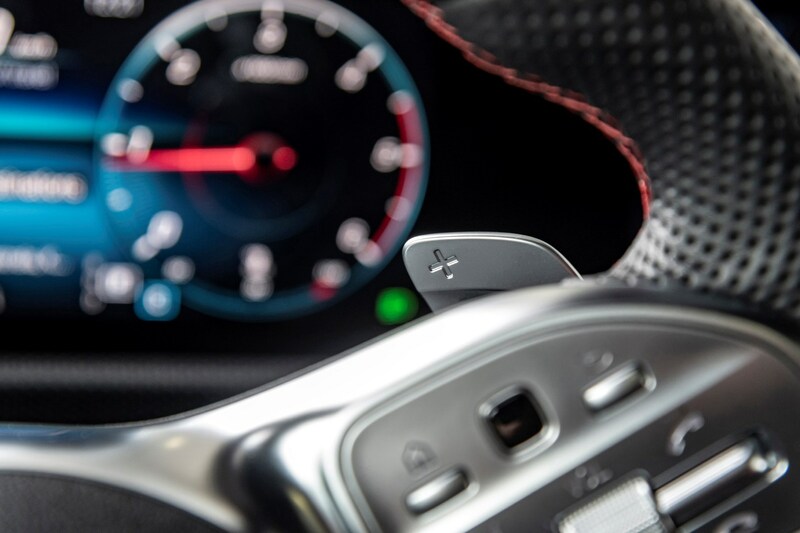 That means a 4.7-second 0-62mph time and a top speed of 155mph. 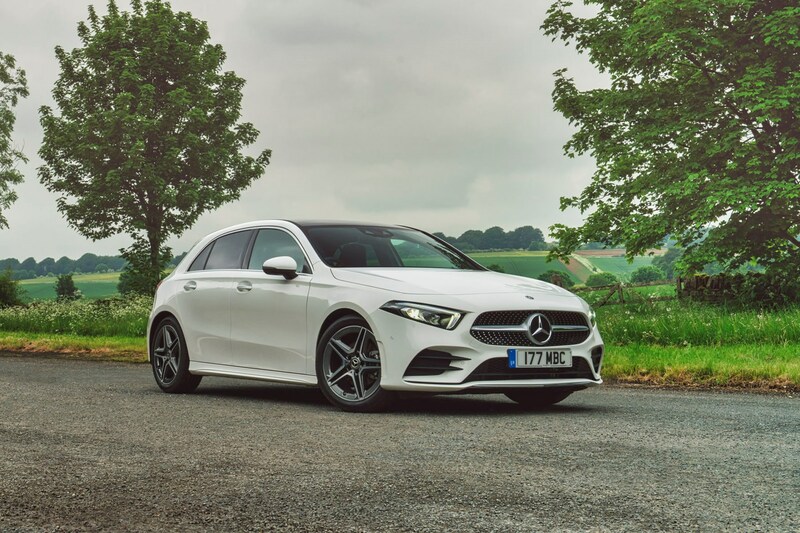 Hardly figures to be sniffed at, especially when fuel economy and emissions are a reasonable 38.7mpg and 167g/km of CO2 respectively. 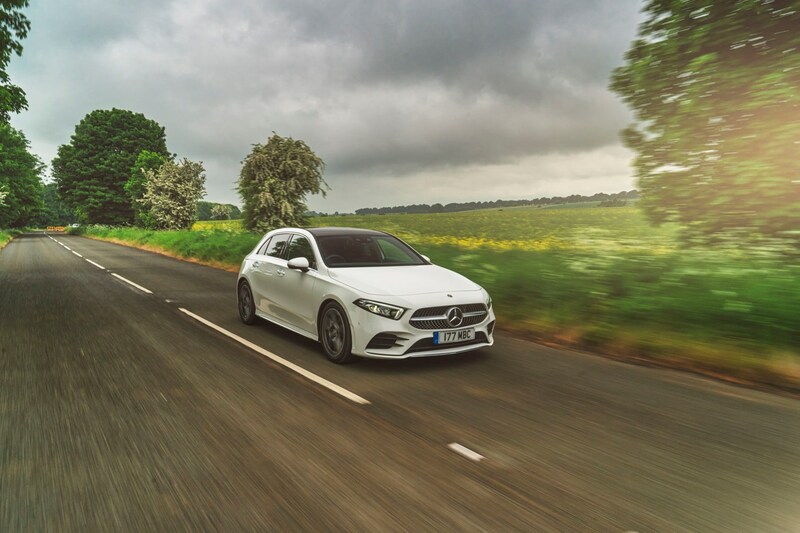 Out on the road, the A 35 puts its power down in the clinical, unfussy manner that you’d expect from an all-wheel drive hatch, providing instant forward motion regardless of conditions. 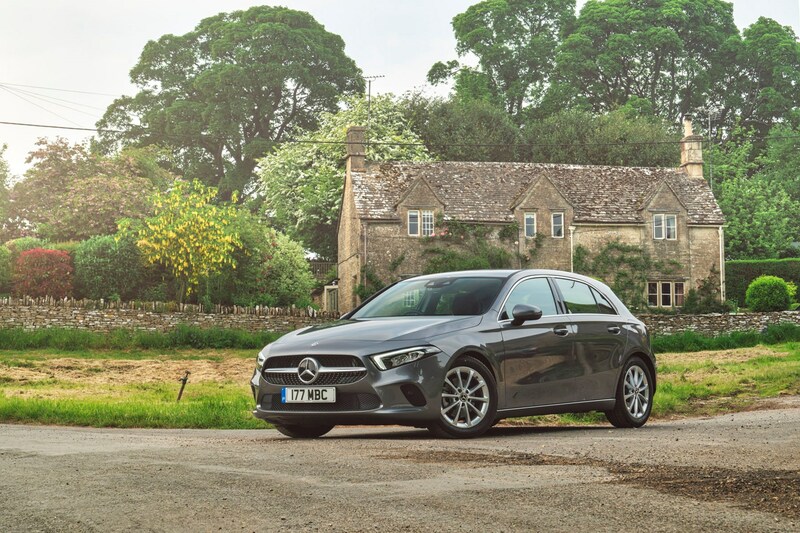 There’s a slight delay at low revs before the turbocharger kicks in, but once in the power band the A 35 pulls cleanly all the way to the red line where a crisp upchange from the DCT gearbox awaits. 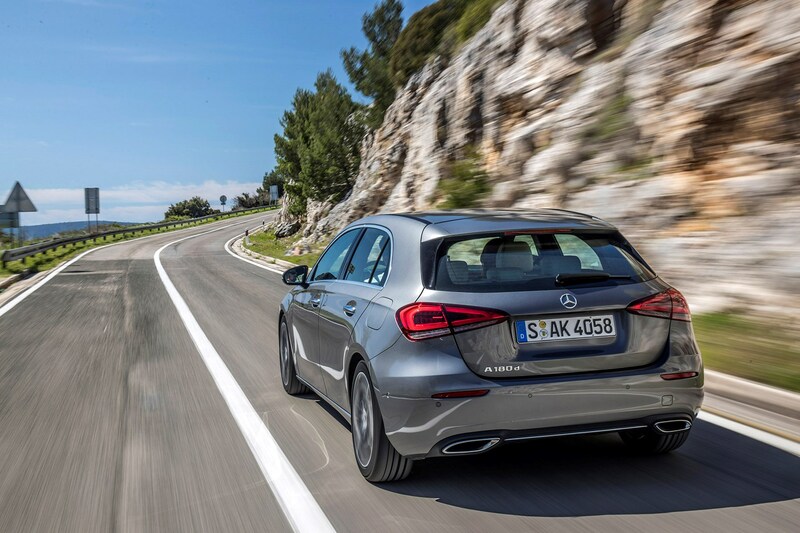 It’s as easy to drive quickly as it is to cruise around on a crest of the engine’s chunky torque output. 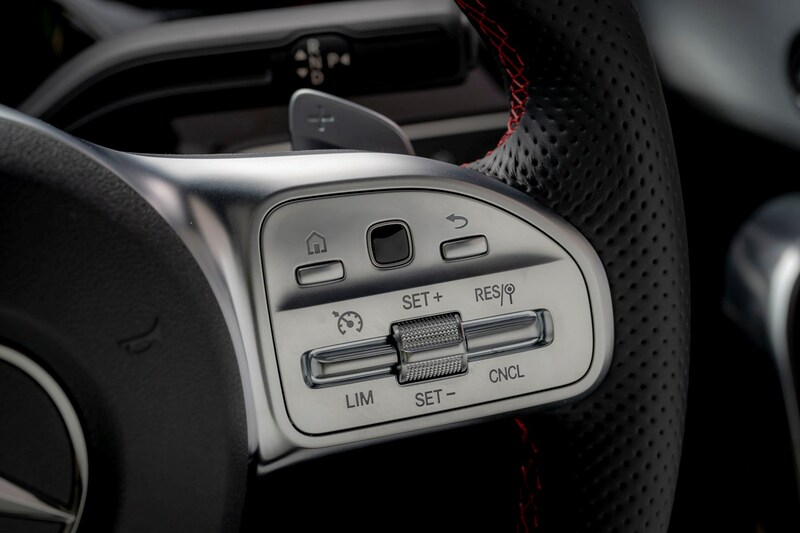 The gearbox plays its part in this respect, delivering smooth, timely changes in automatic mode and (mostly) obedient downchanges when using the paddles. 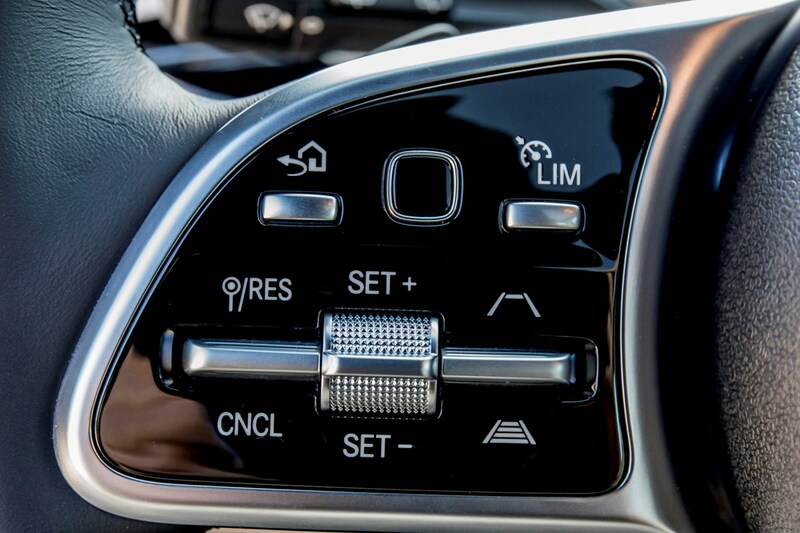 Happily, it does have an option to lock itself in manual mode, holding onto the selected gear regardless of how high the revs are. 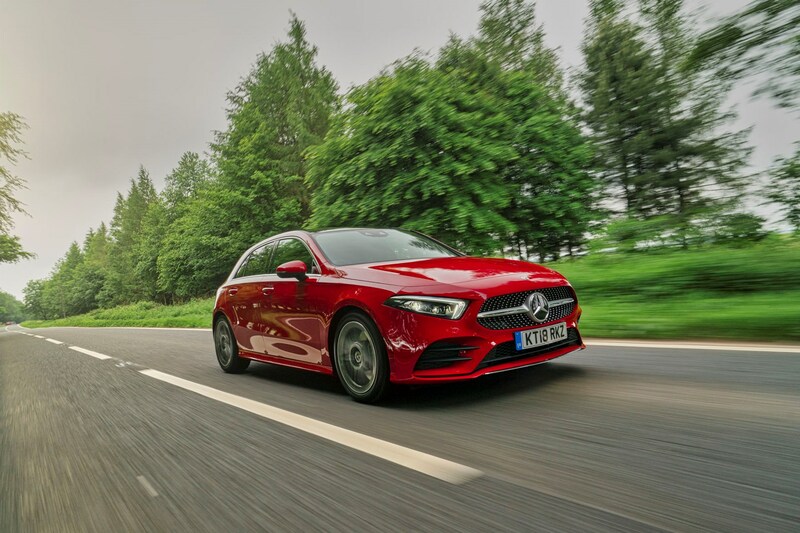 The AMG-A 35’s 4Matic all-wheel drive system will be familiar to anyone who drove the old A45 and it’s just as effective here. 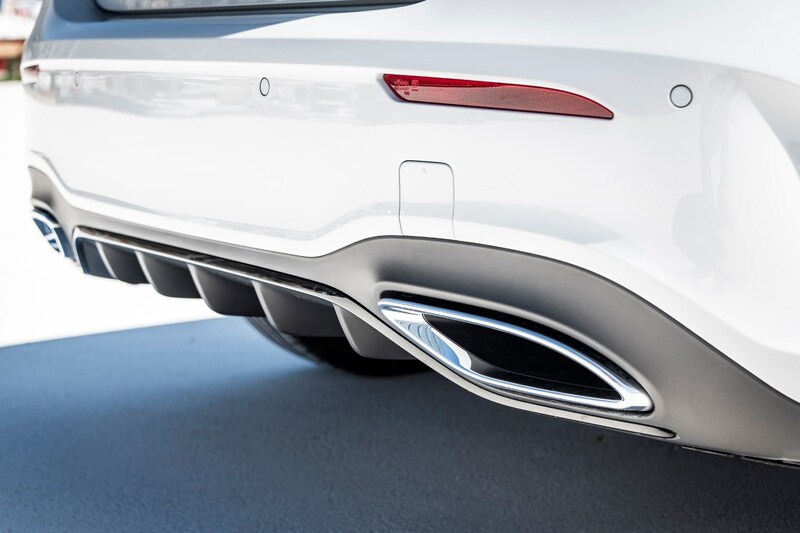 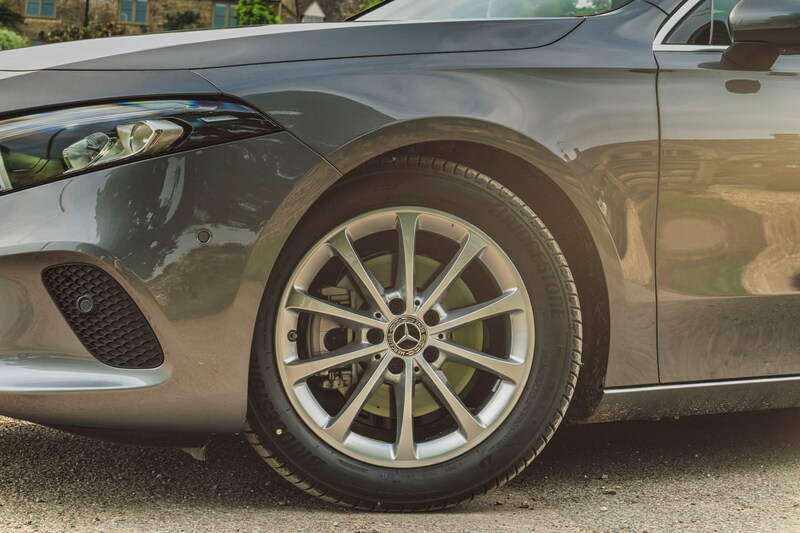 Torque is split between the front and rear wheels at up to a 50:50 ratio, meaning that you can accelerate hard away from corners and rely on the car’s ability to bite down and find traction. 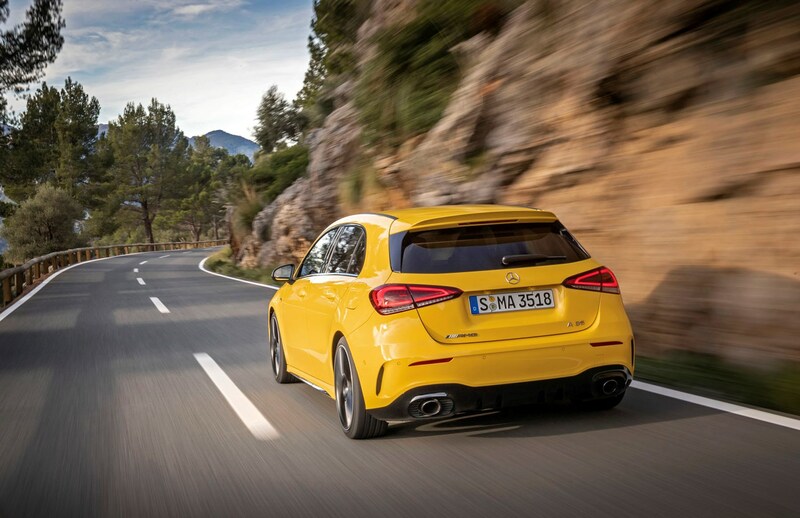 You’ll find understeer (where the front of the car washes wide of its intended cornering radius) to be more prevalent than oversteer (where the rear of the car steps out of its intended cornering radius) thanks to that 50:50 distribution, yet you’ll have to be trying very hard indeed to get the A 35 to break traction – even in damp conditions. 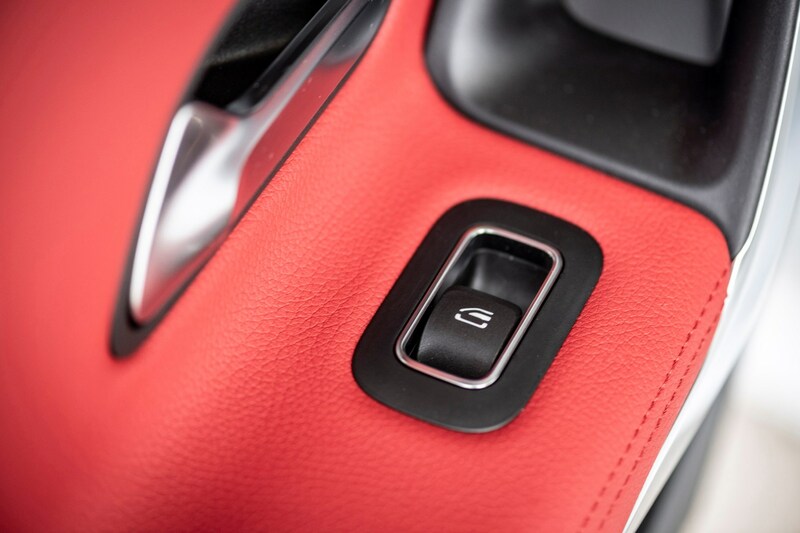 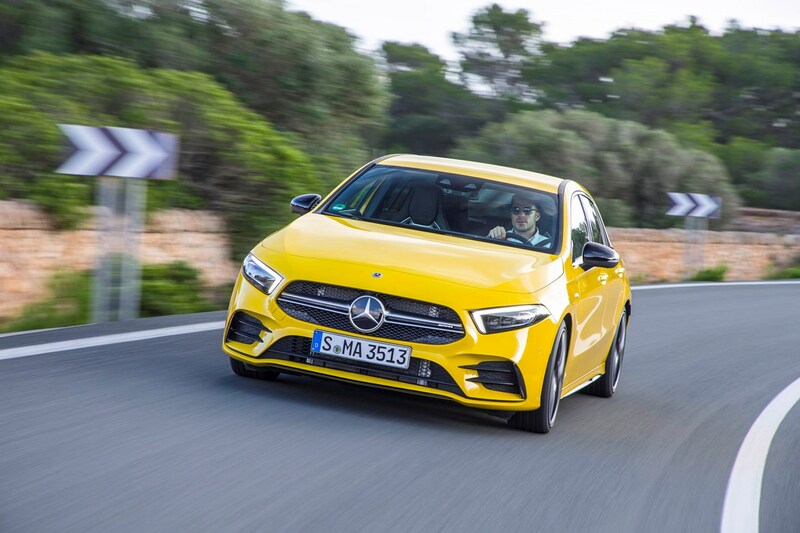 If things do get a little wet under wheel, Mercedes-AMG has given the A 35 a new ‘Slippery’ driving mode to go alongside existing Comfort, Sport, Sport+ and Individual settings. 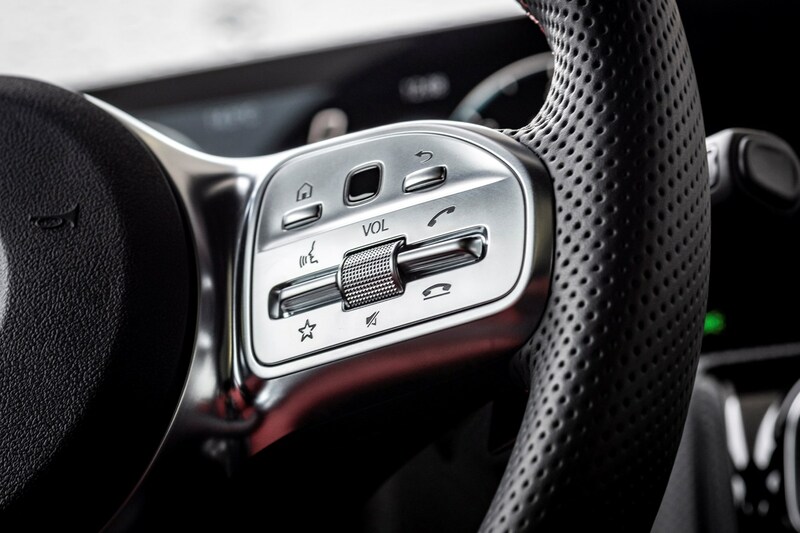 This adjusts vehicle characteristics – such as engine, steering, gearbox and adaptive damper settings – depending on the driver’s preference. 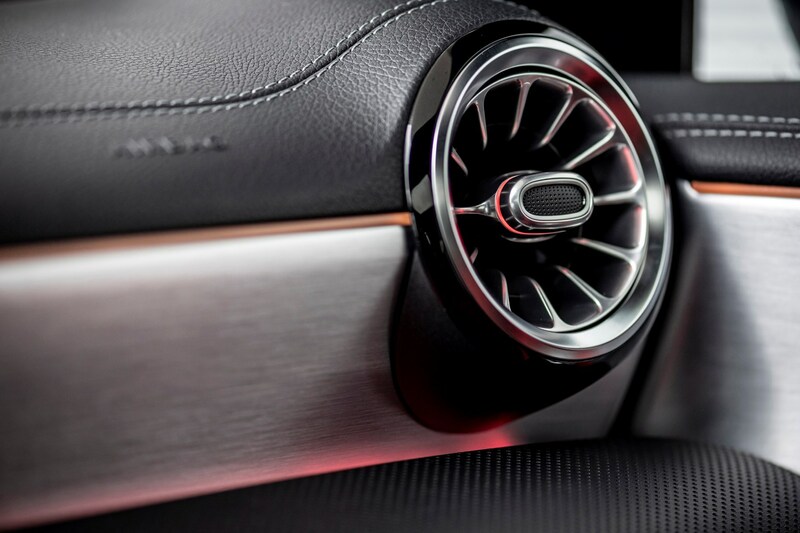 Said adaptive dampers are available as a – surprisingly cheap – option and although we haven’t driven any A 35s without them fitted, we’d strongly recommend speccing them above anything else. 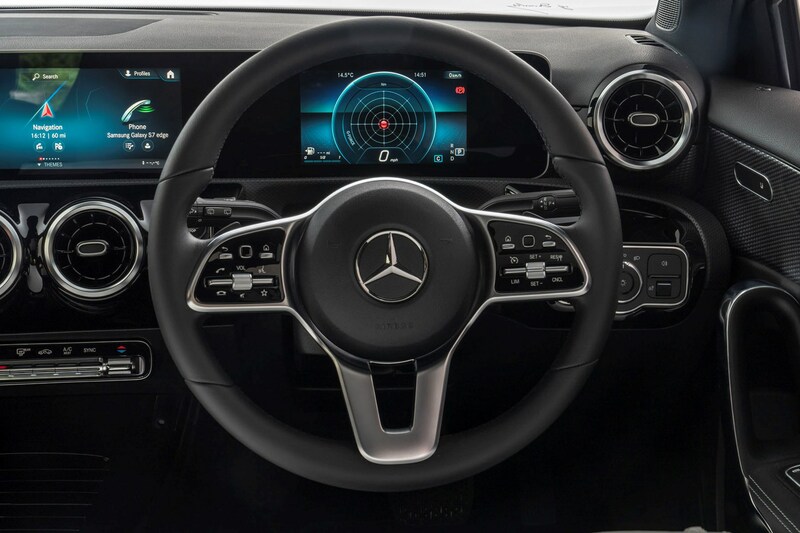 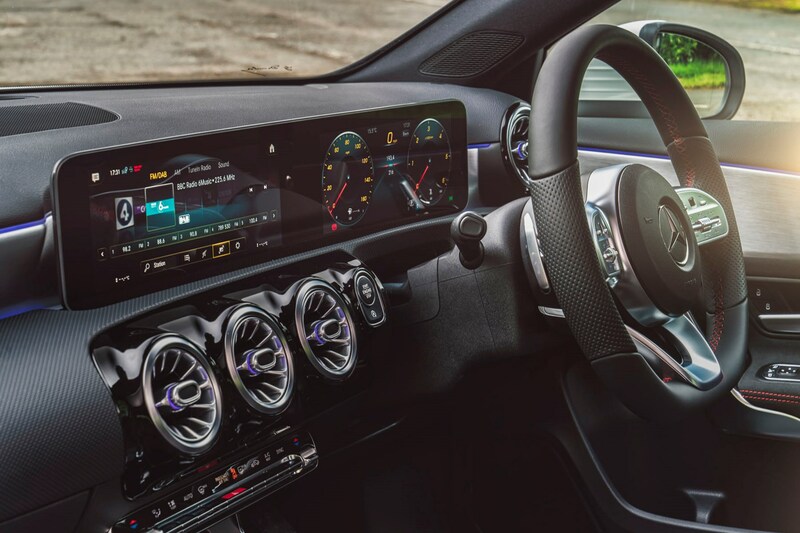 Meanwhile, standard kit includes two 7.0-inch displays in the cabin (using the MBUX infotainment system with Hey Mercedes voice activation), 18-inch five twin-spoke AMG alloy wheels, Active Lane Keeping Assist, Speed Limit Assist, a reversing camera, keyless ignition and dual-zone climate control. 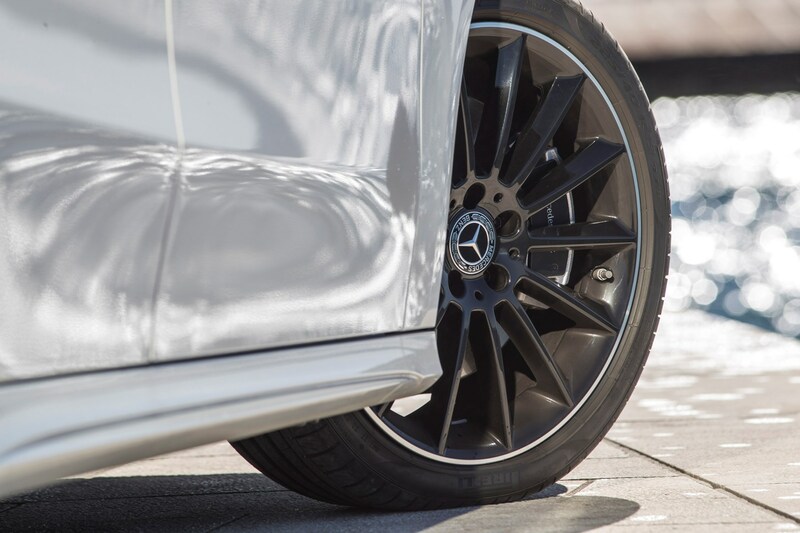 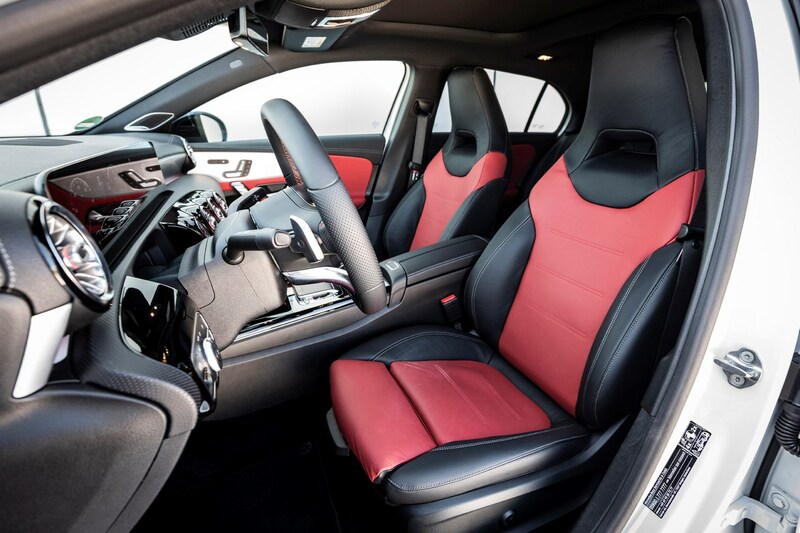 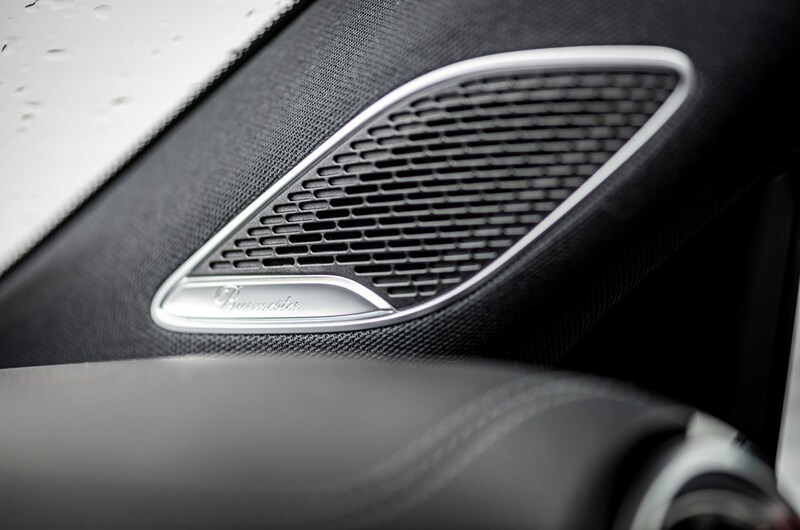 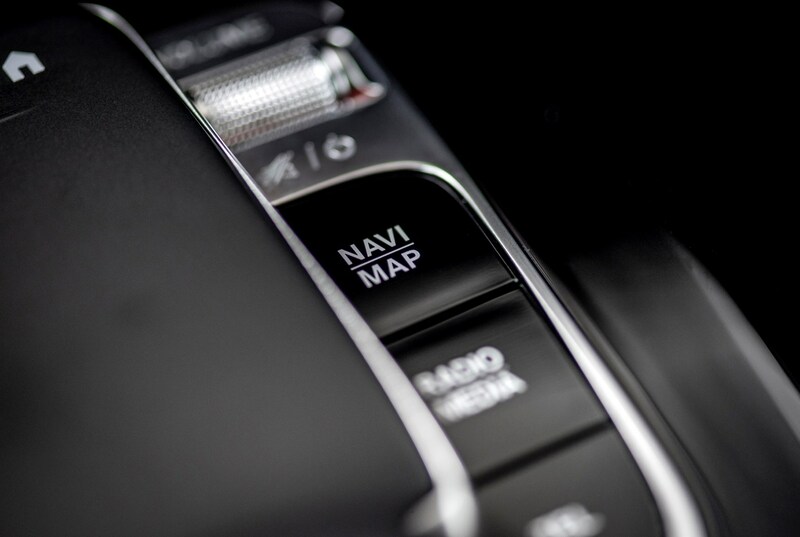 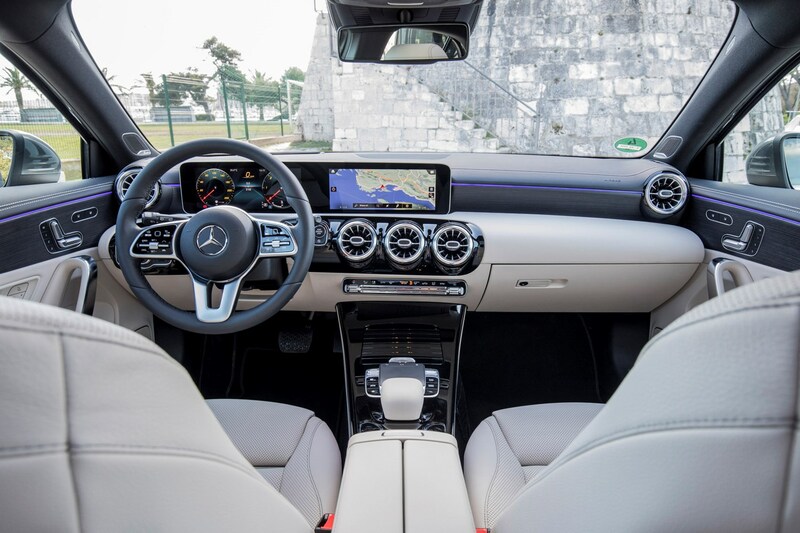 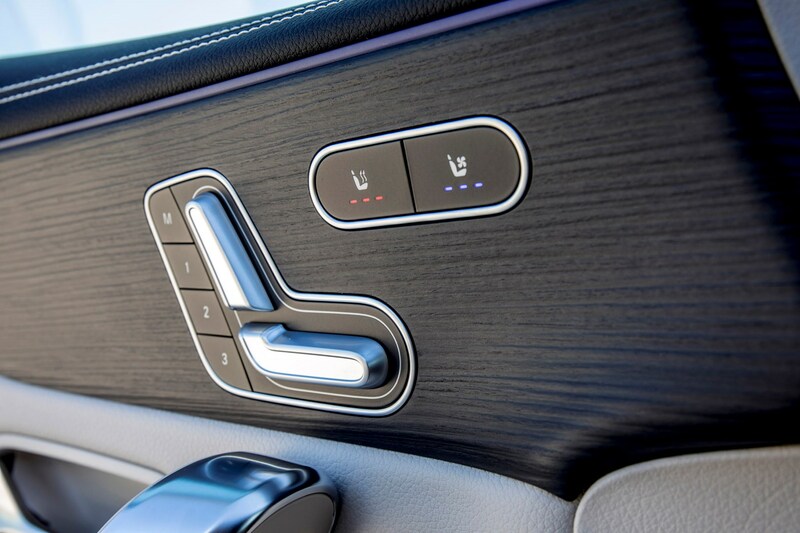 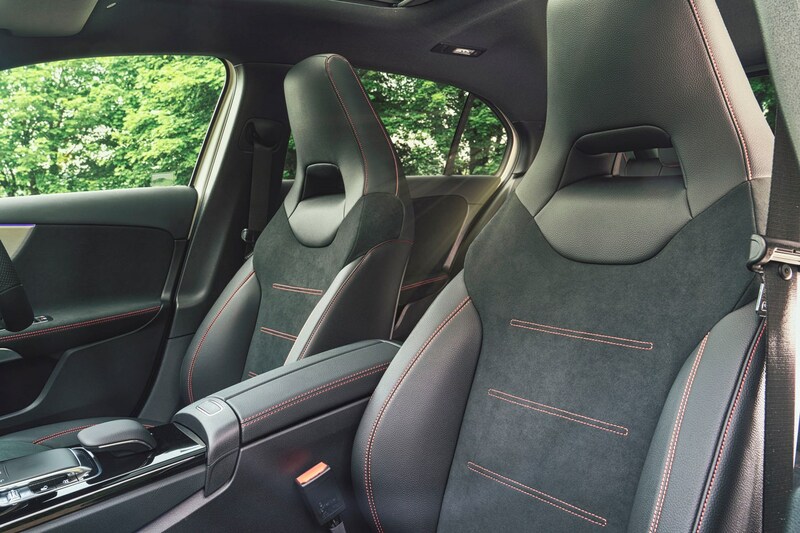 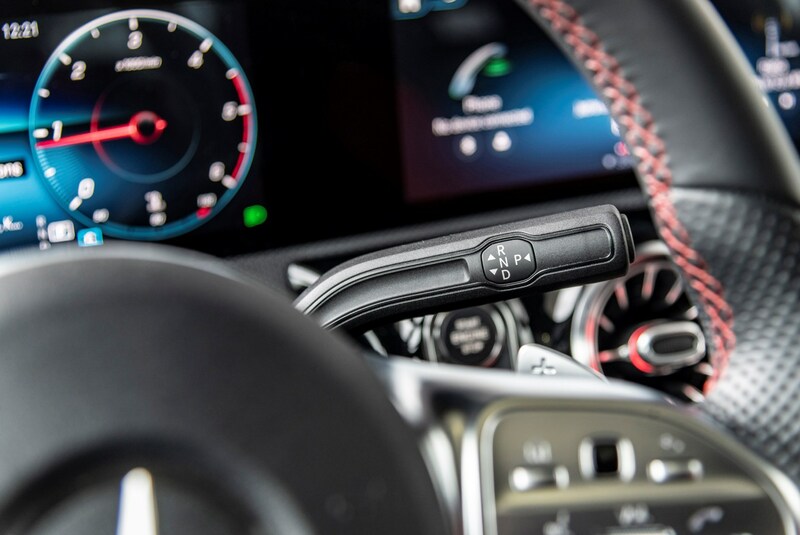 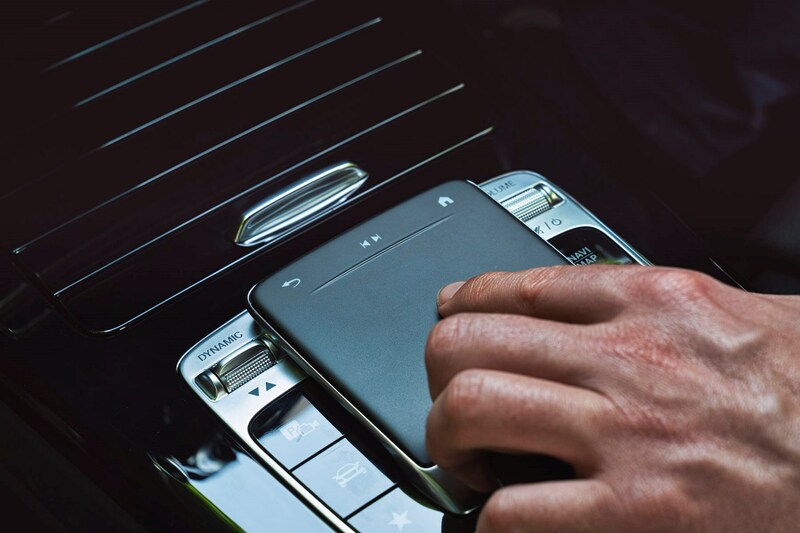 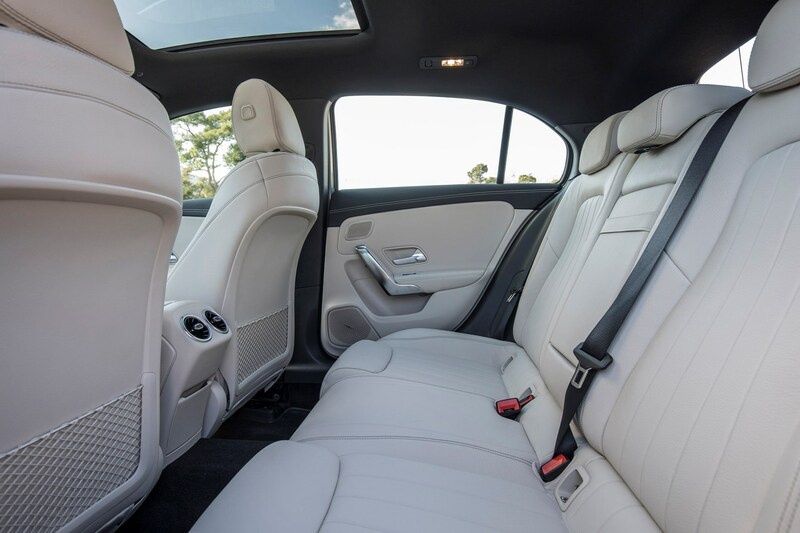 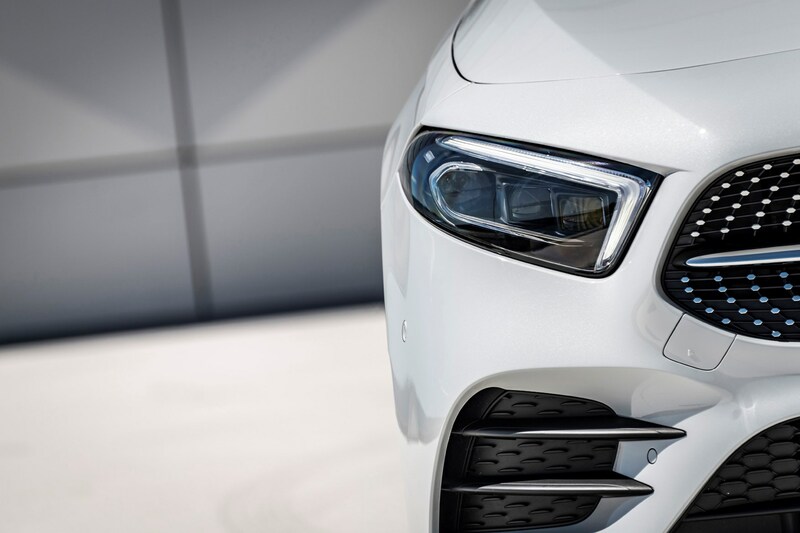 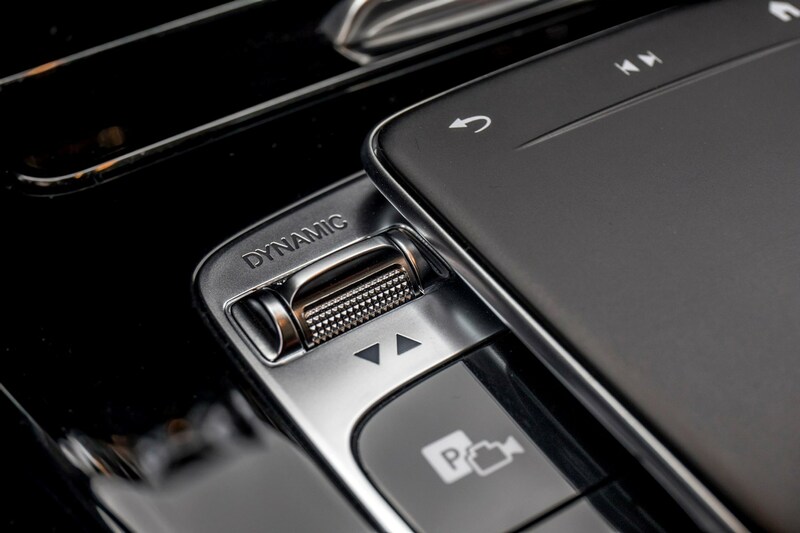 Optional equipment packs such as AMG Executive equipment line, AMG Premium/Premium Plus equipment line, Driving Assistance package, AMG Advanced Navigation and Advanced Connectivity can also be added. 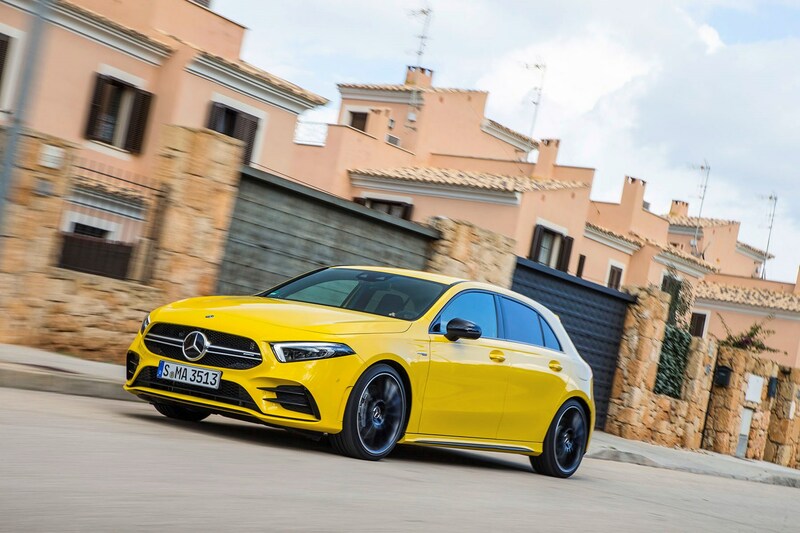 The Mercedes-AMG A 35 is a rapid, hi-tech hot hatchback that’s every bit as capable as rivals from Audi, Volkswagen and BMW. 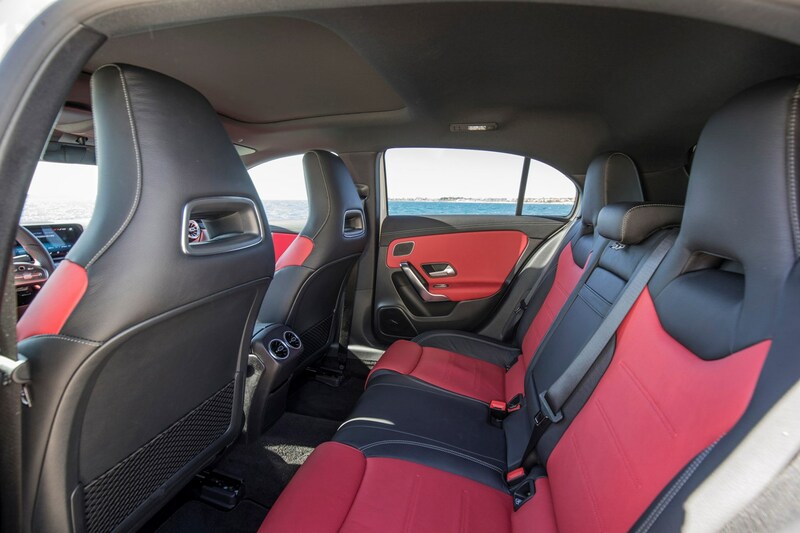 Plus, the swanky cabin taken from the regular A-Class is reason enough to consider parting with your cash. 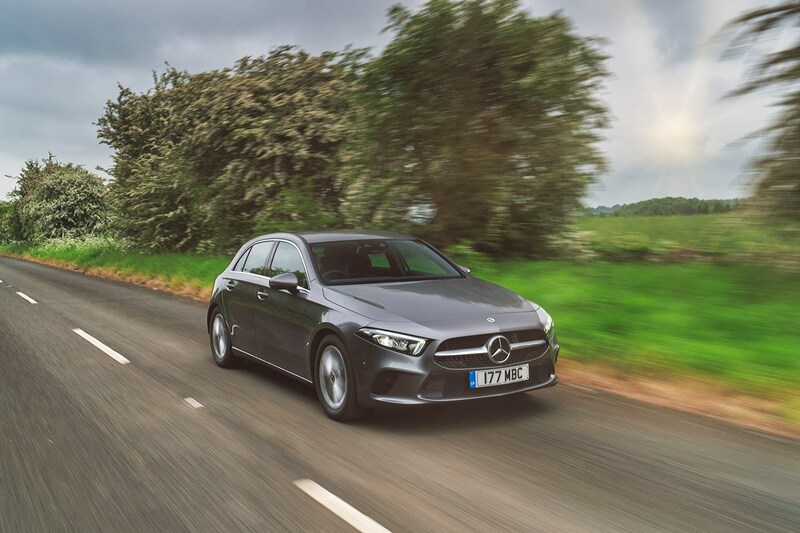 However, if you’re after the very best all-wheel drive at this price point, then take a second to read this. 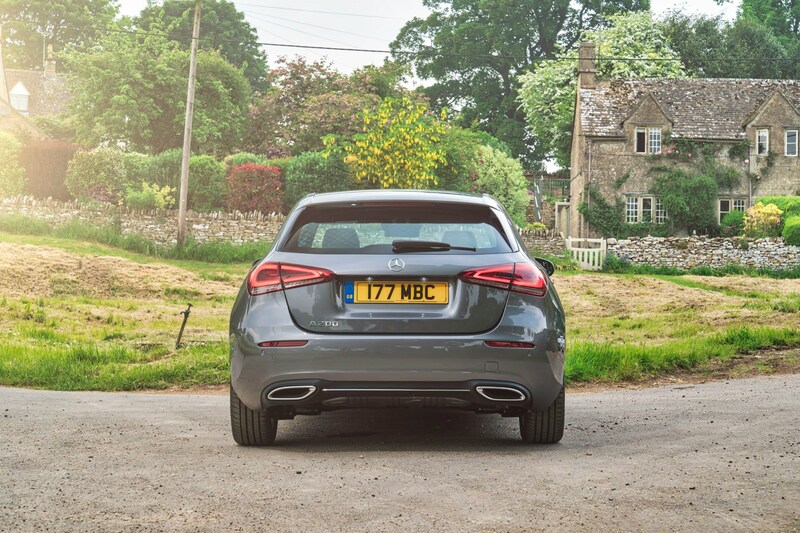 The A 35, for all its ability, is a touch too subdued and blunted. 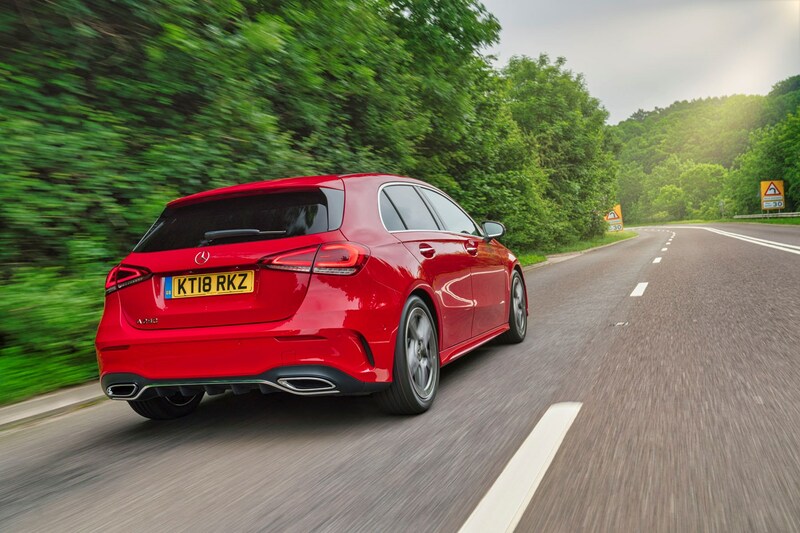 For some, a 306hp hatchback will never be anything but excellent fun, yet there will also be many who will notice the lack of excitement and communication in the way the A 35 drives. 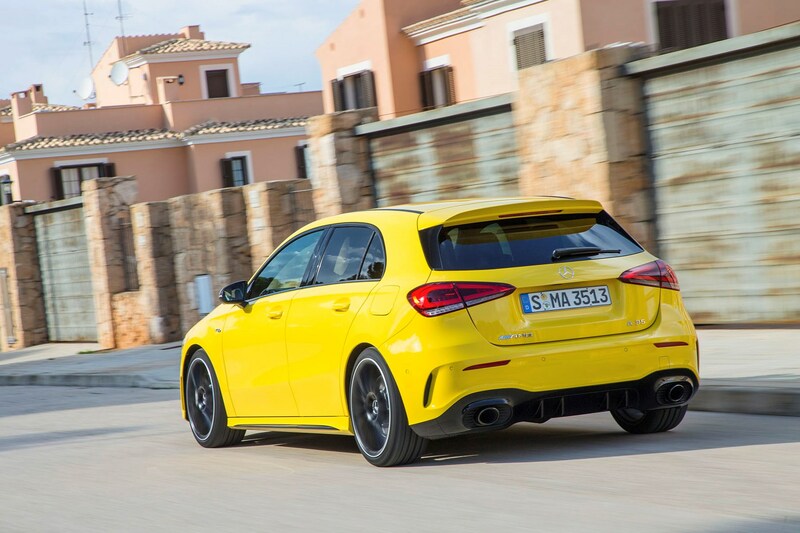 For starters, the engine is strong but the sound it makes under power is drab, only saved by forced pops and crackles from the exhaust when you come off the throttle. 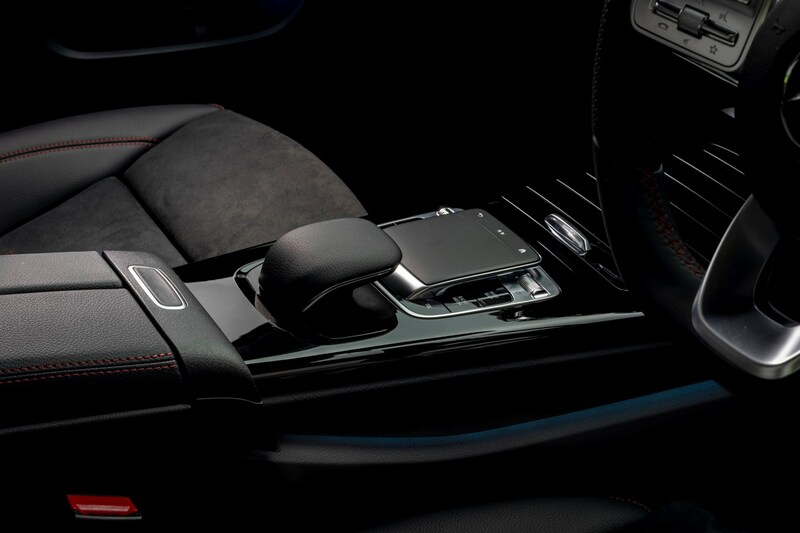 Then there’s the handling. 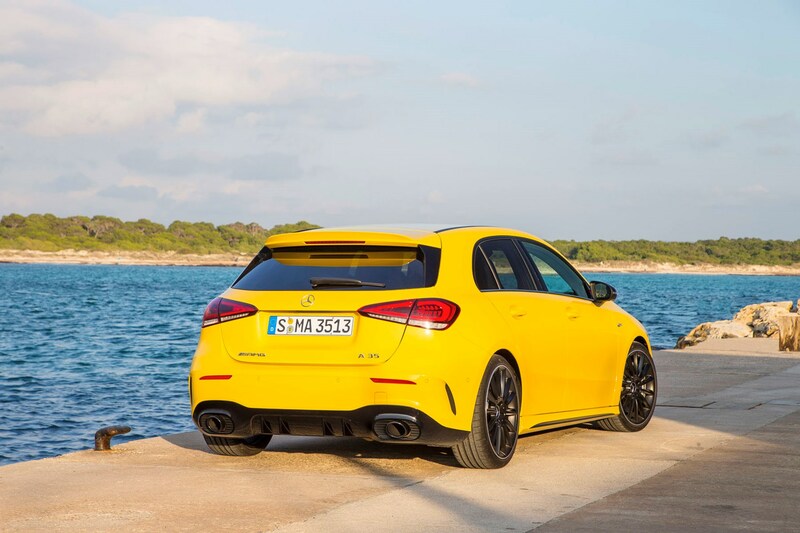 The chassis delivers little in the way of outright feel and communication to the driver and feels far less adjustable than what’s on offer in a Golf R. It’s the same with the steering. 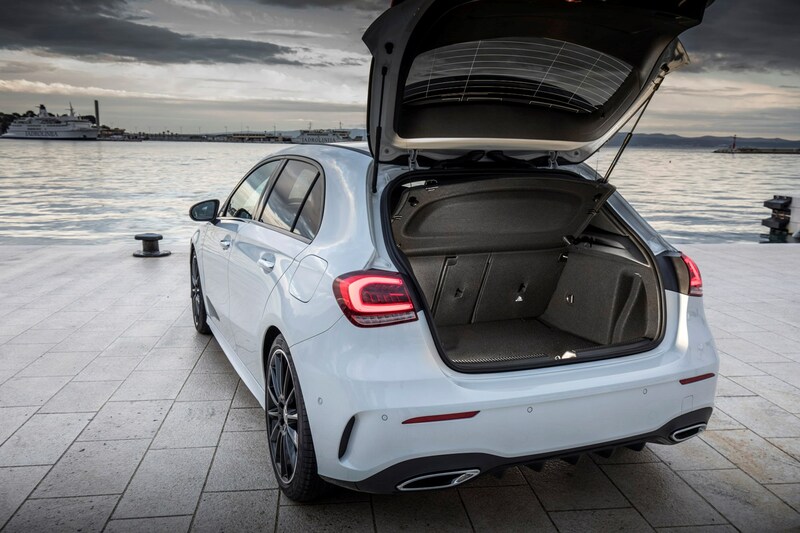 Although neither are exactly bristling with feedback, the Golf’s feels crisper and more precise. 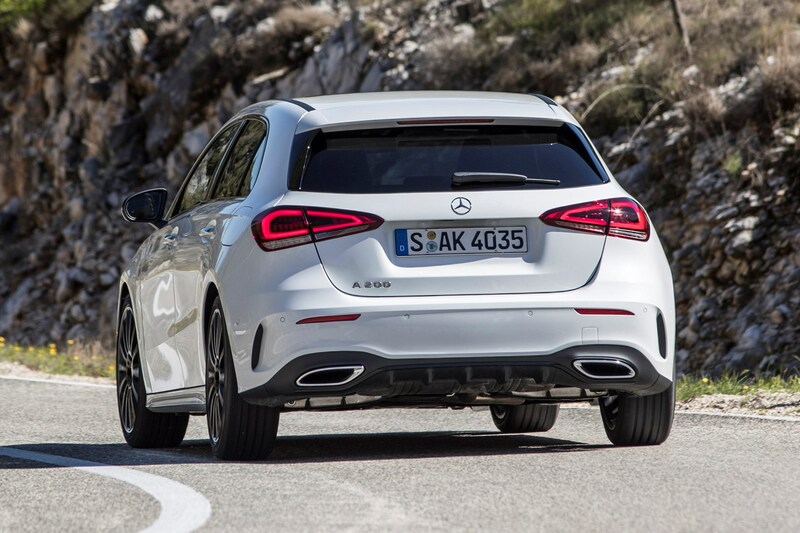 And what’s more, there’s none of the slightly mad, almost comedic streak we’ve become used to in Mercedes-AMG models. 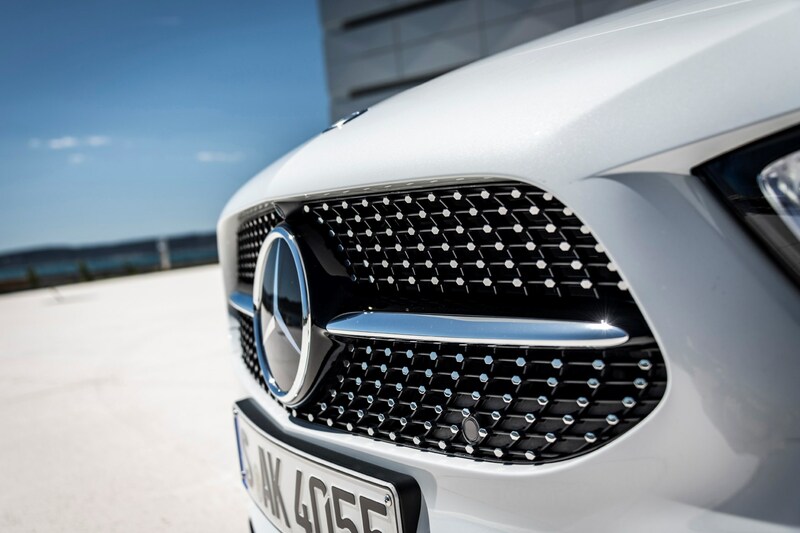 Quite how much that matters, however, will depend on the individual buyer. 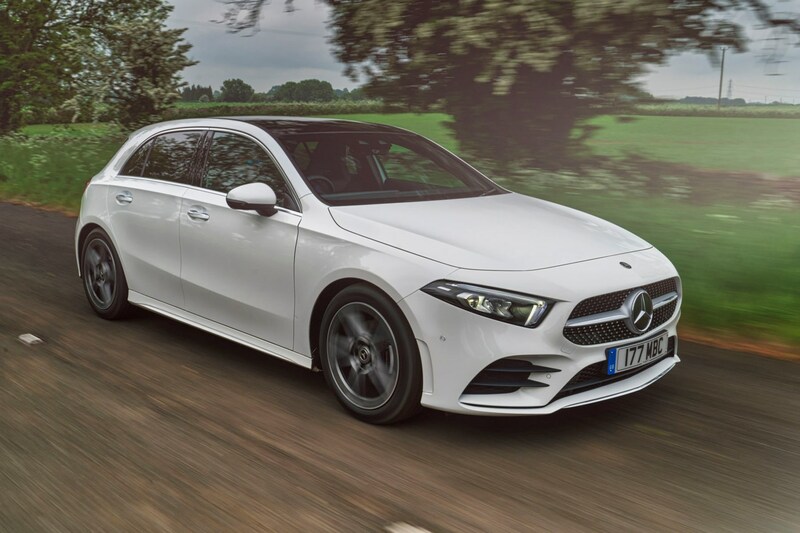 Said buyer should know however, that the A 35 is considerably more expensive on PCP finance than both the BMW M140i and Audi S3. 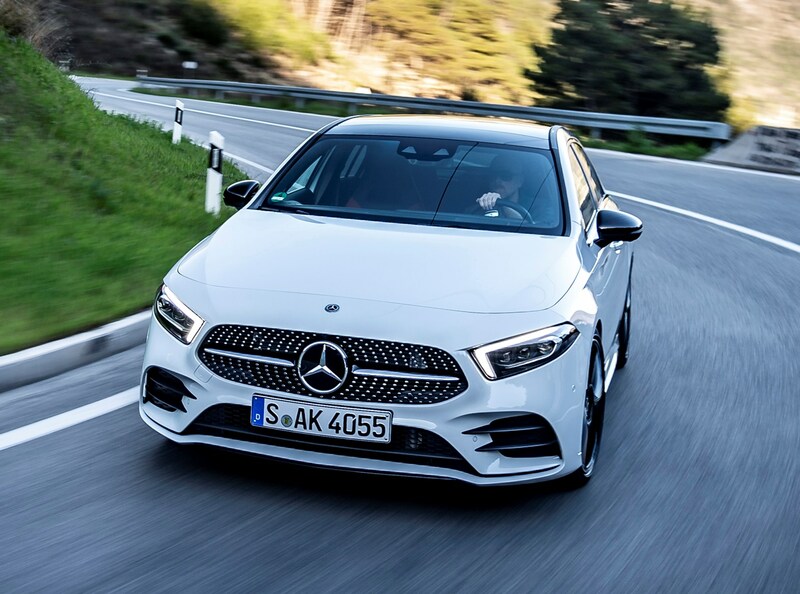 May 2018 – First UK deliveries of A-Class take place. 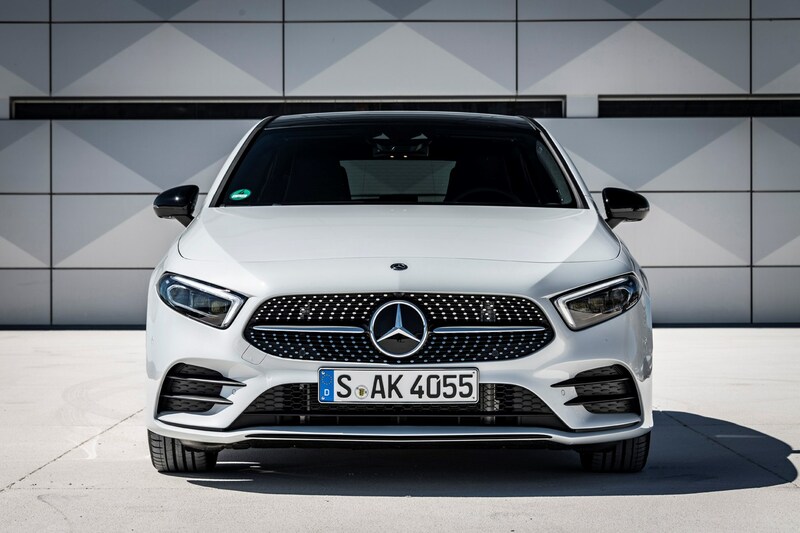 Available with three trim levels – SE, Sport and AMG Line – the A-Class is launched with three powertrains – A 180 d, A 200 and A 250. 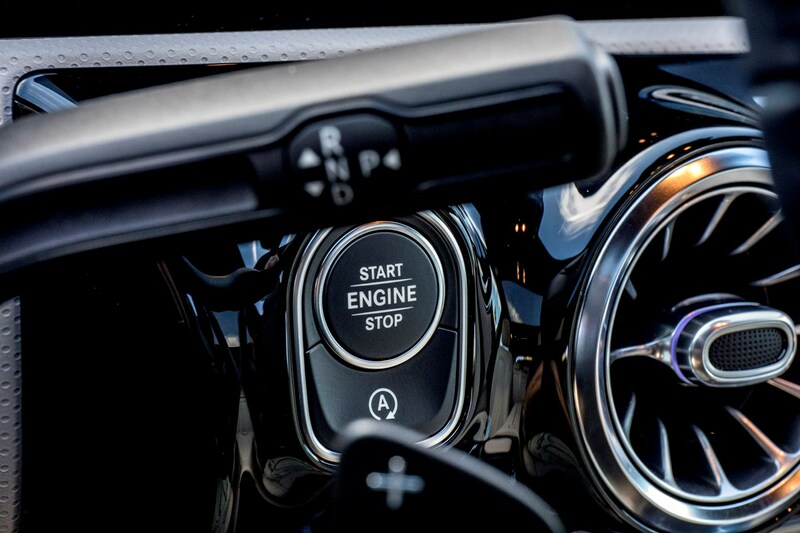 All engines come as standard with a seven-speed DCT automatic transmission. 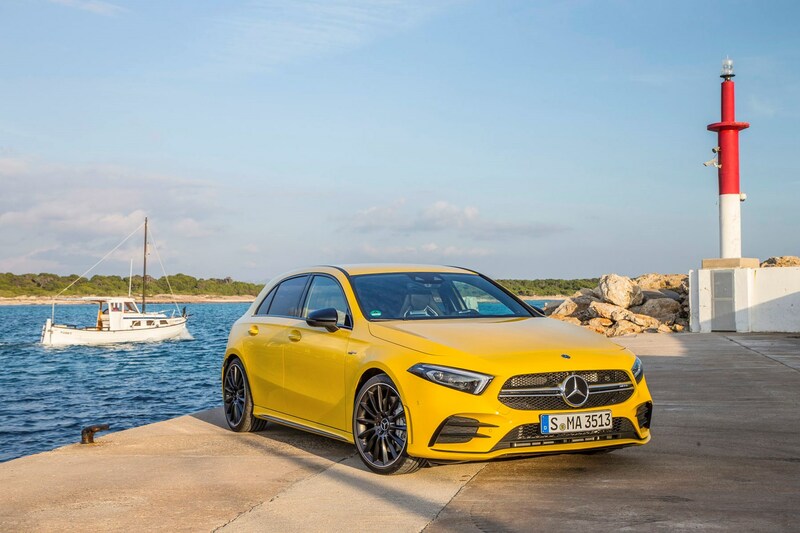 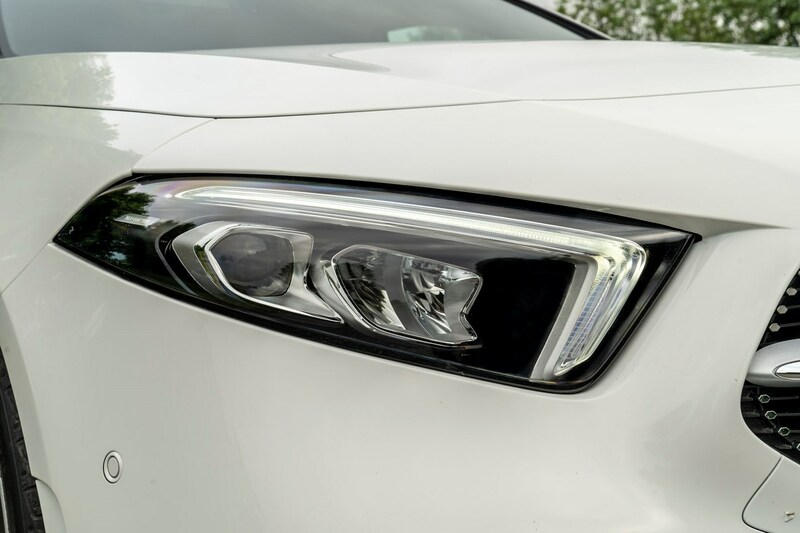 November 2018 ­– Mercedes-AMG A 35 goes on sale. 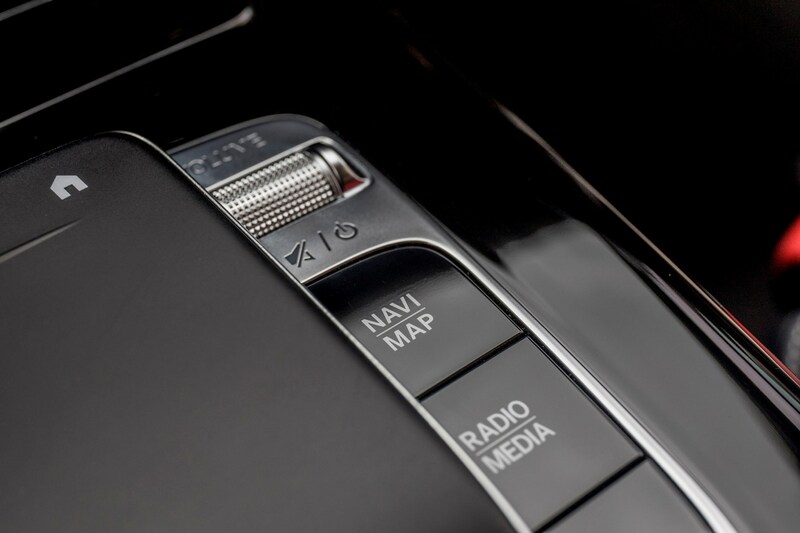 Available with one engine and trim level, all cars come with a seven-speed DCT transmission and 4Matic all-wheel drive. 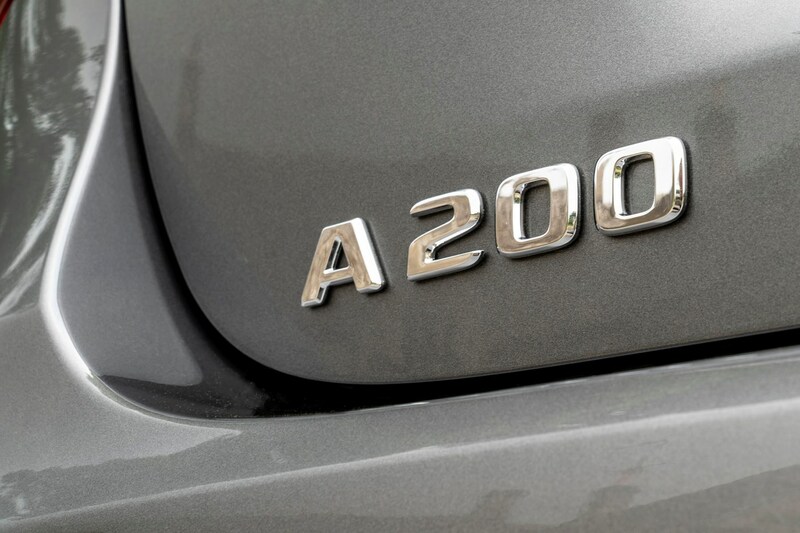 A 200 d and A 220 d engines are also added to the range. 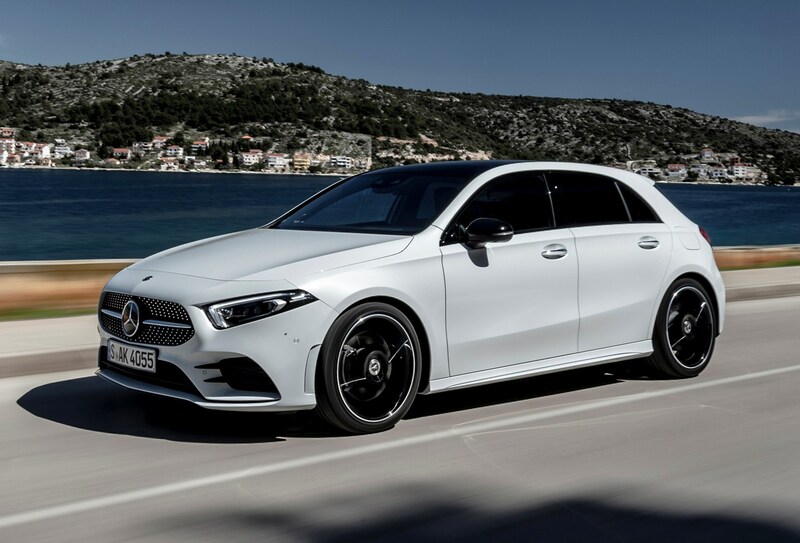 AMG Line was the most popular trim on the previous generation A-Class and this is likely to be the case again. 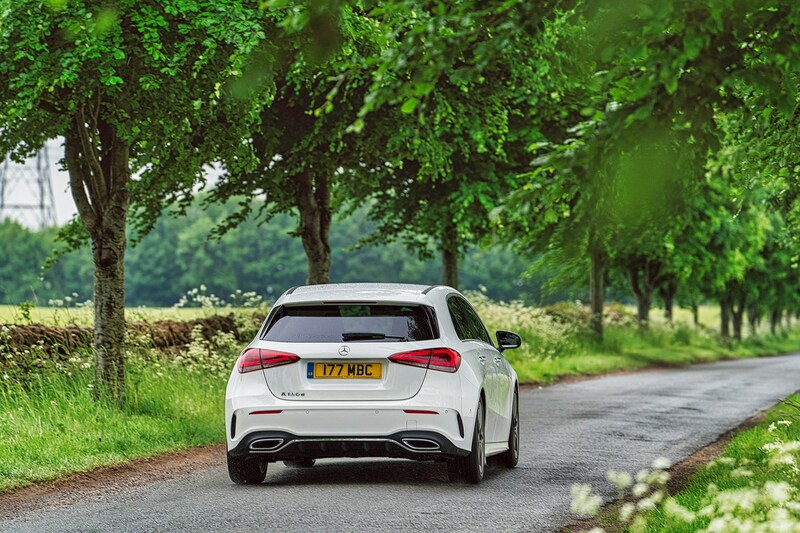 It’s available on all engines from launch, and provides sportier styling along with the most amount of standard kit. 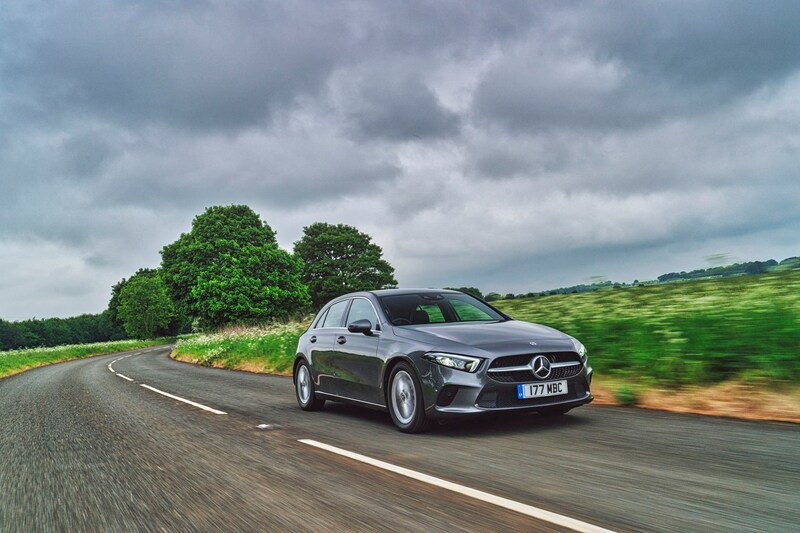 The A 180 d is set to be the biggest seller, but not by the same considerable margin as on the previous A-Class. 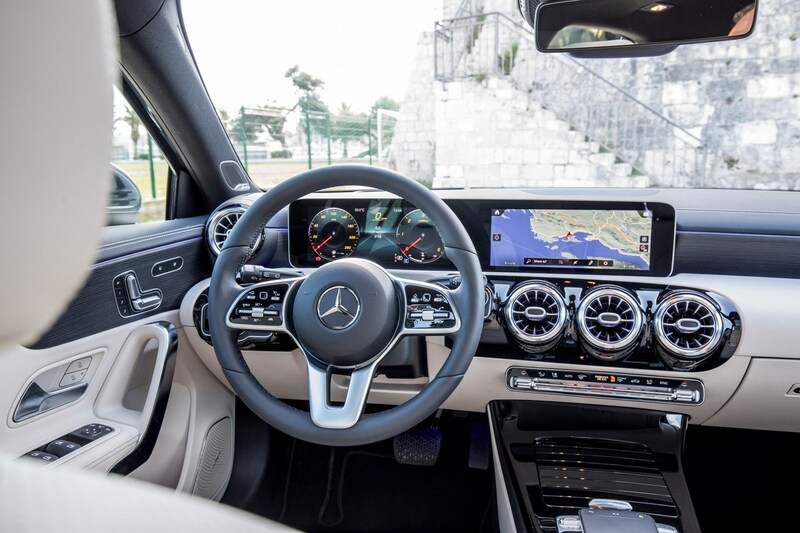 The Premium equipment line is likely to be a popular one, as it bags you the larger 10.25-inch screens over the standard 7.0-inch equivalents. 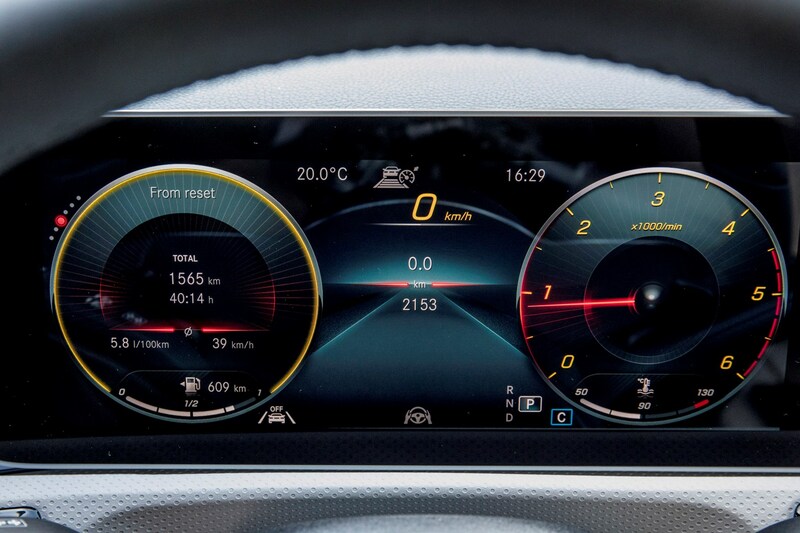 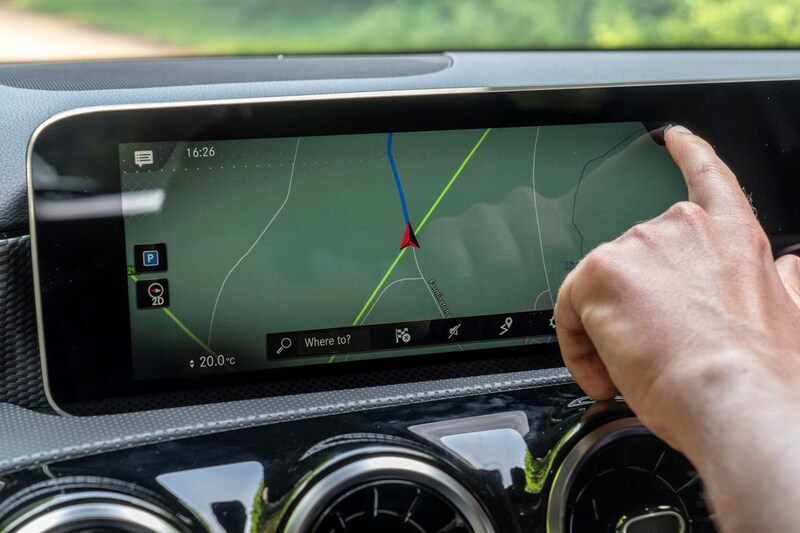 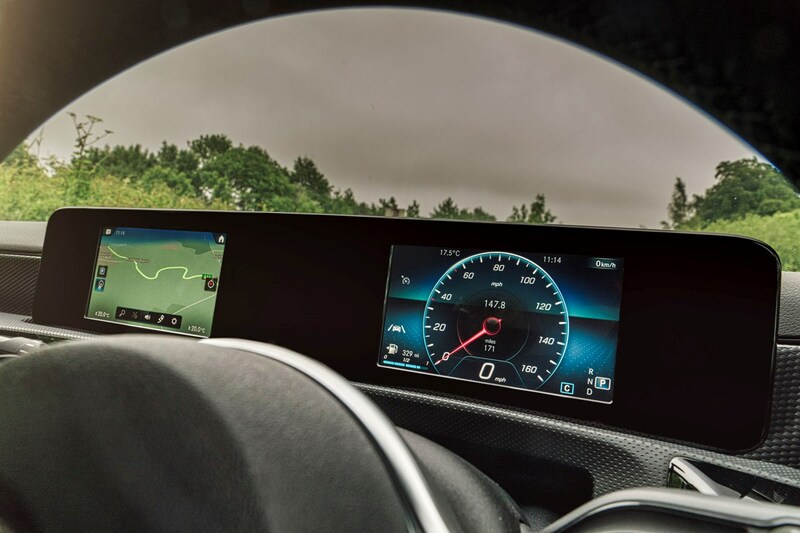 Meanwhile, the Smartphone Connect package (enabling Apple CarPlay/Android Auto) and the Advanced Navigation package (featuring augmented sat-nav) will also be popular. 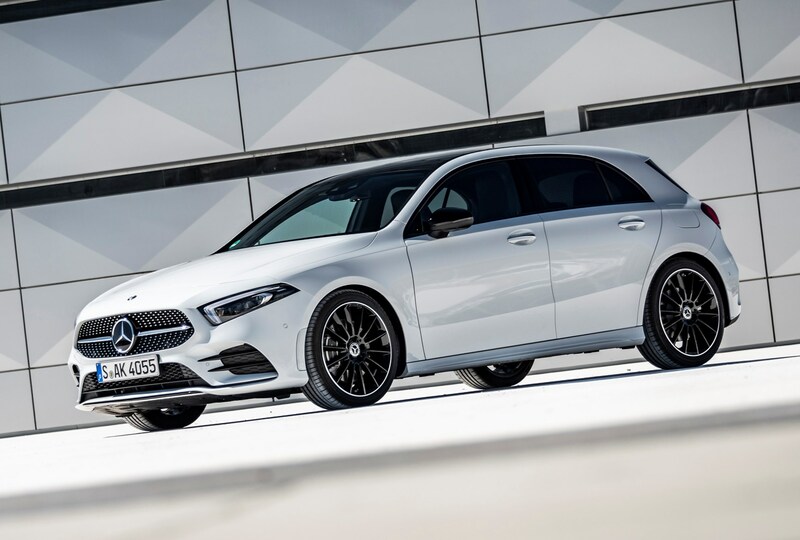 Bear in mind that this optional kit can add substantially to the already high list prices, which in turn will inflate your monthly payments if you pay through Mercedes’ PCP finance scheme. 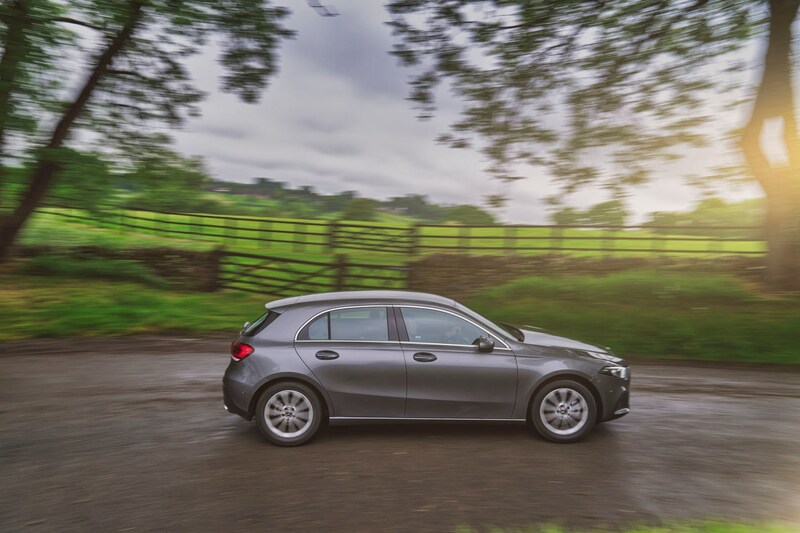 At launch PCP finance is expensive through Mercedes with high APR charges and no deposit contribution discount. 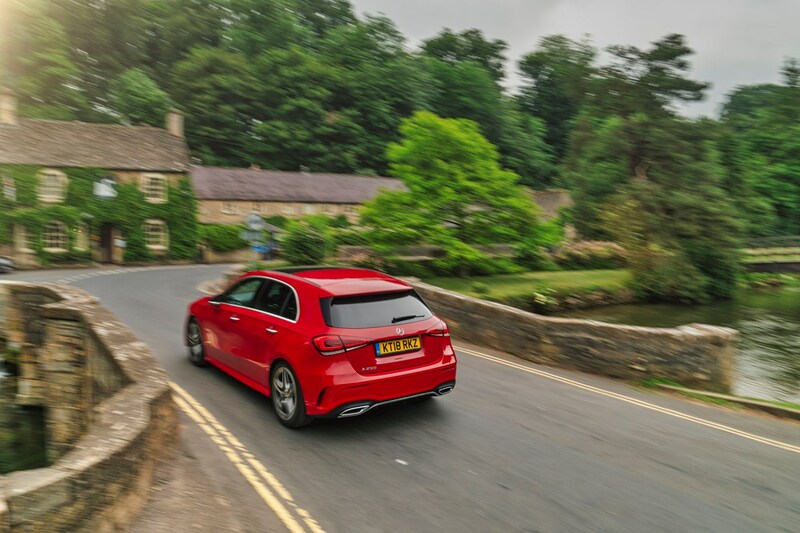 If you’re considering financing your A-Class it’s wise to get a like-for-like quote for the BMW 1 Series and Audi A3, to see which is best value for you. 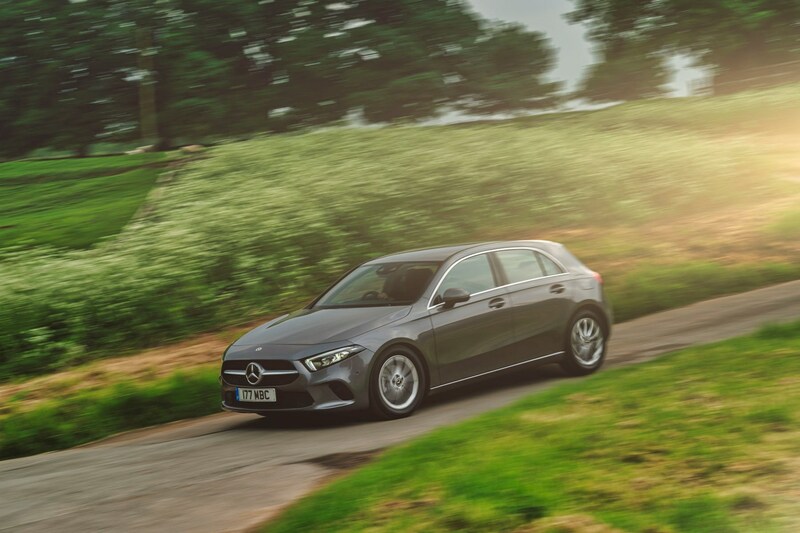 With potentially as much as £75 per month separating the three at launch – with the Mercedes proving the priciest – you could either save a lot or get a lot of extra kit with the BMW or Audi if value is important to you. 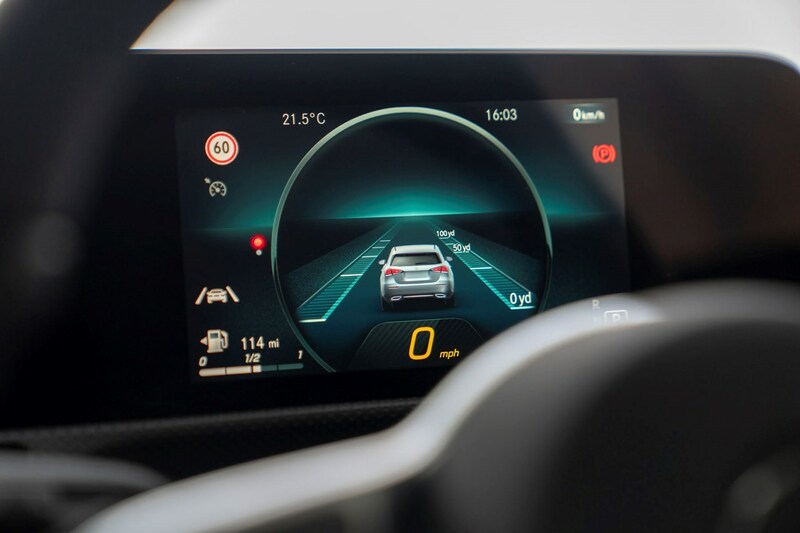 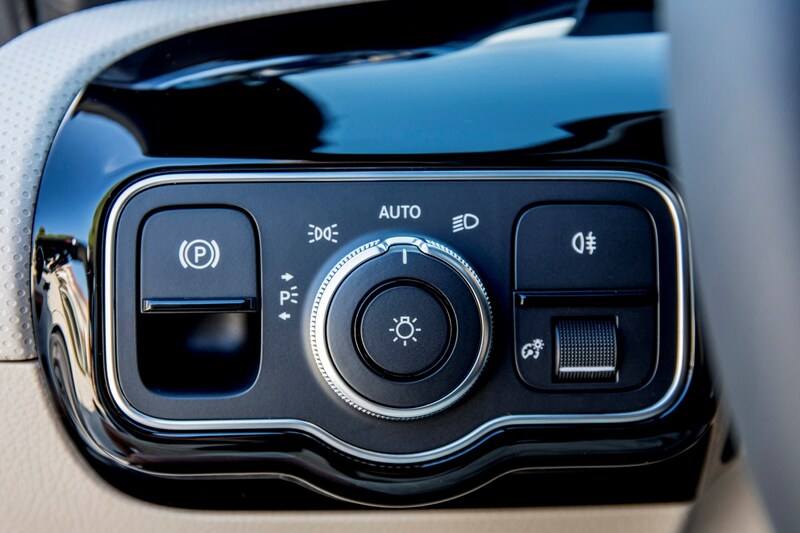 It’s also worth noting that the superb Distronic adaptive cruise control and lane guidance assist system wasn't available on any UK cars until the latter part of 2018. 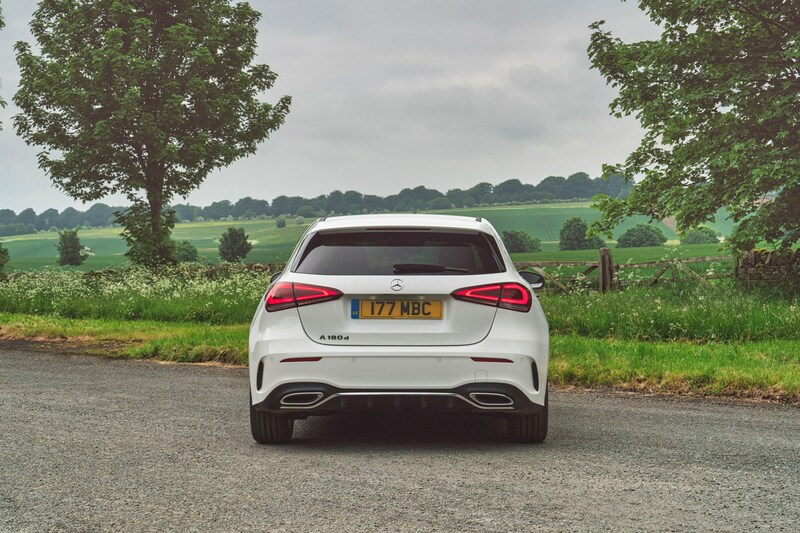 If you plan to do many motorway miles in your A-Class, this is worth opting for. 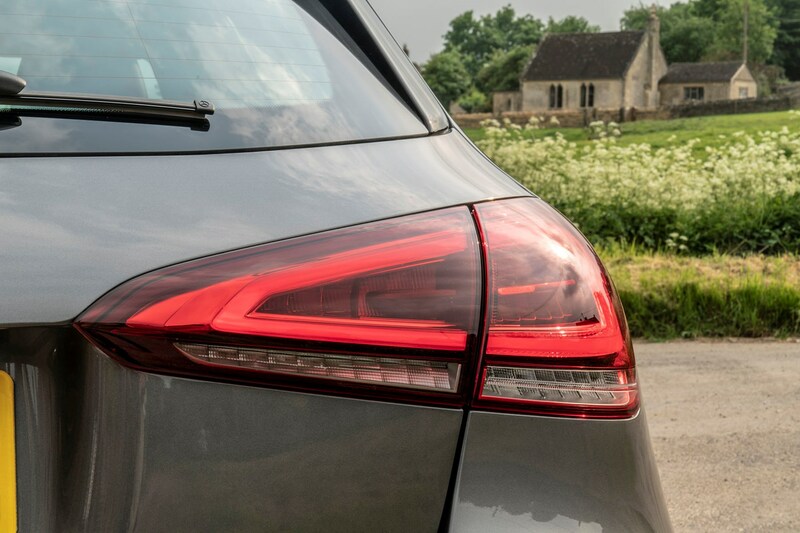 It shouldn’t take long for a swathe of ex-demonstrator and ex-fleet cars to hit the secondhand market, so if you’re a cash buyer it might be worth waiting around to see if you can bag a lightly used bargain. 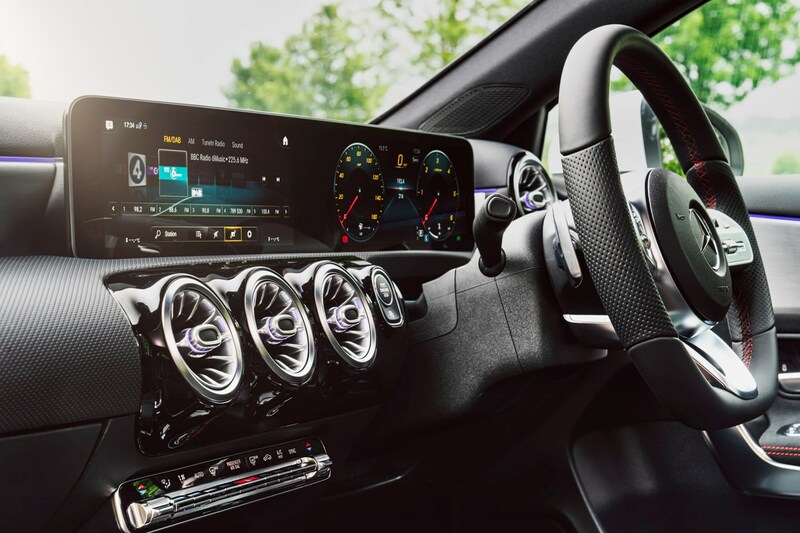 Bear in mind that used car finance deals are unlikely to be as competitive as their new car equivalents, so weigh up the pros and cons before deciding which to go for. 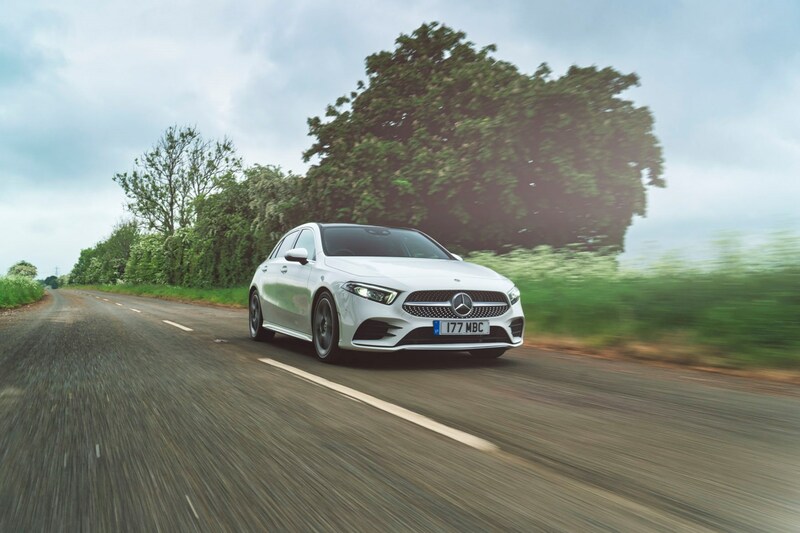 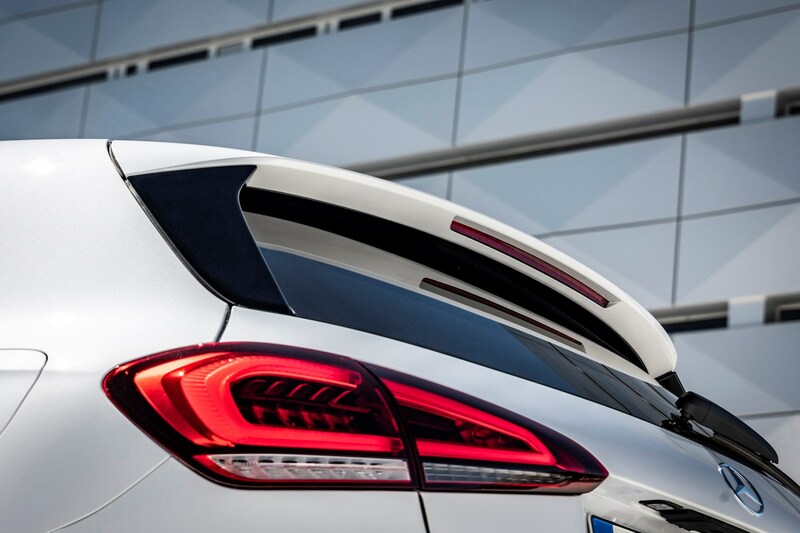 Remember that if you’re considering PCP finance on a nearly new A-Class you may actually be able to afford a brand new model for the same, if not less, per month. 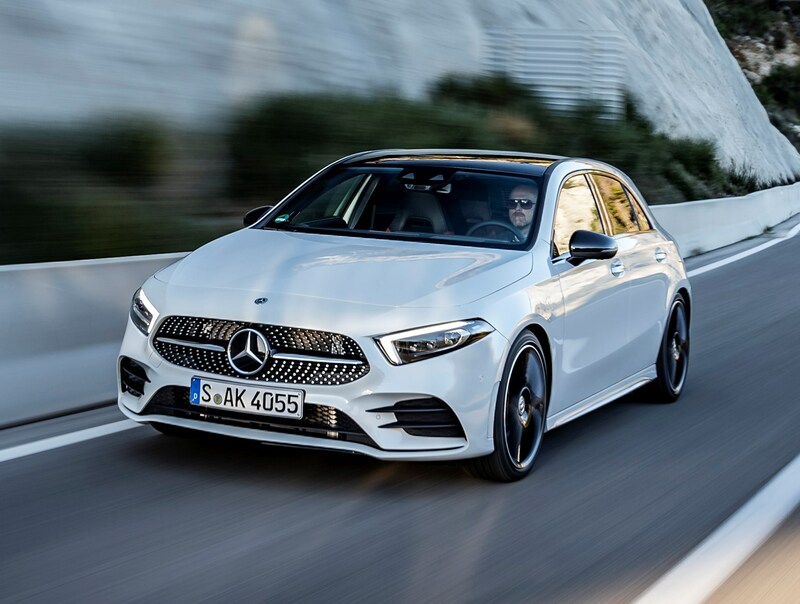 That’s because APR charges are normally far lower on new cars with large deposit contribution discounts available too. 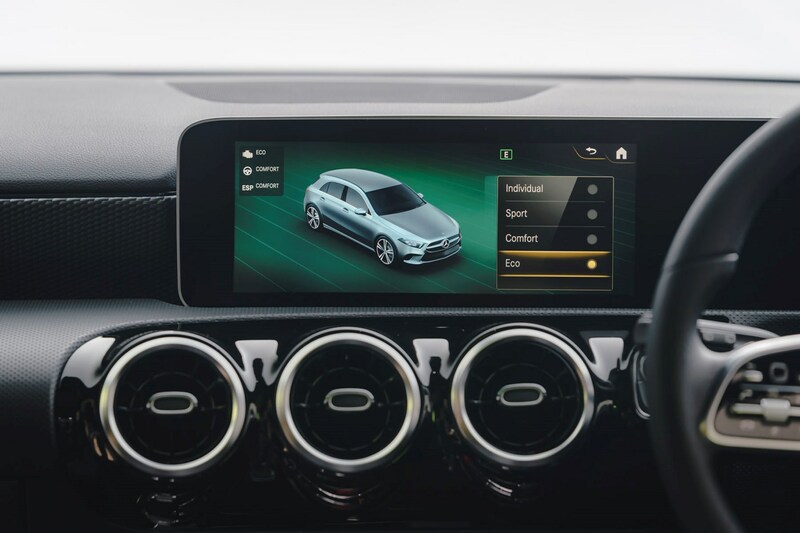 As we mentioned in the reliability section, there’s plenty of new tech on the A-Class, so be sure to check that if you’re buying an early example that may have had a few bugs in the system you make sure that all of the tech works as it should do. 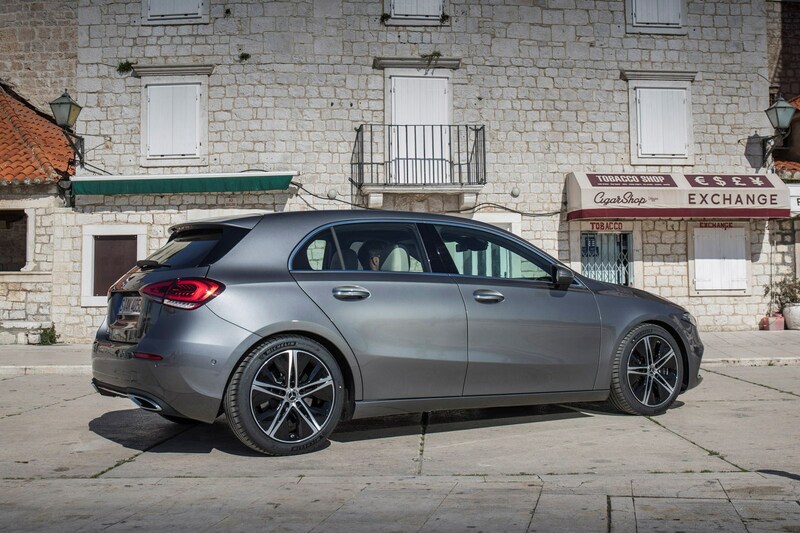 Check a potential purchase’s history with a Parkers Car History Check. 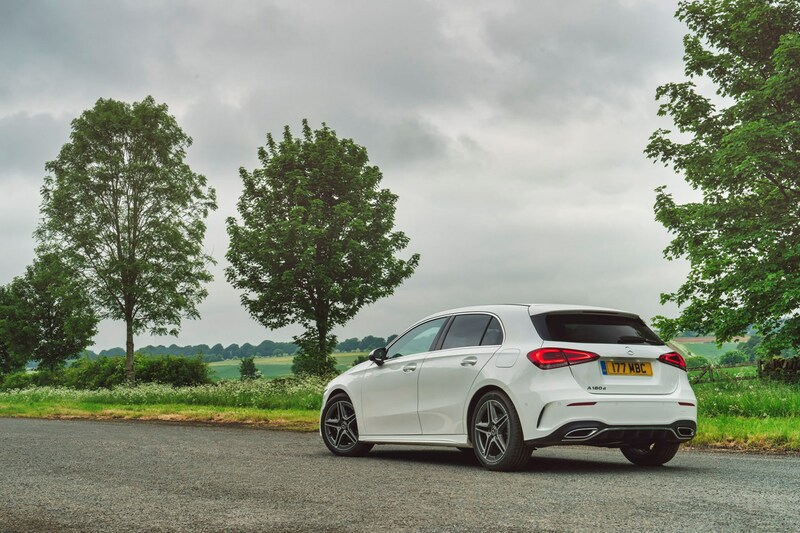 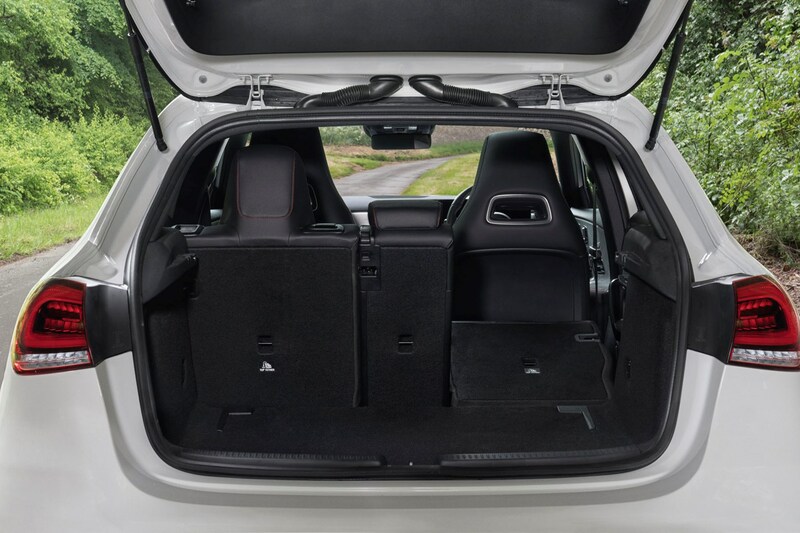 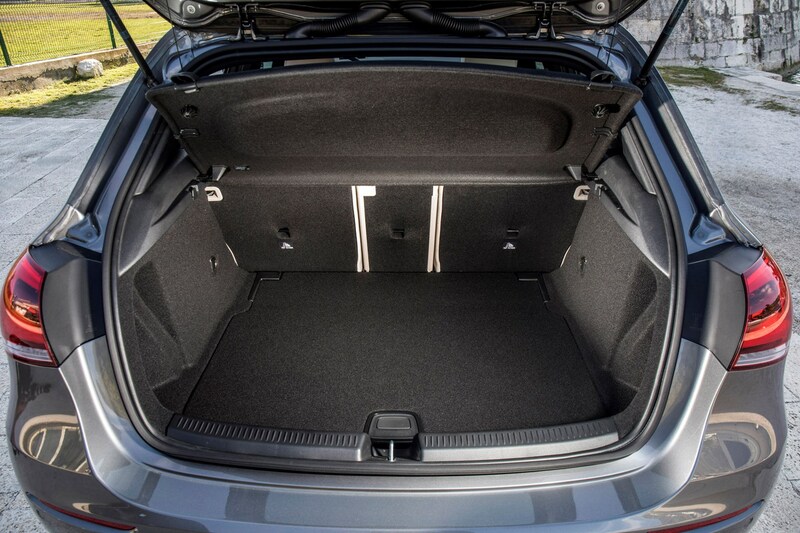 If you’ve got any options fitted to your A-Class (especially the costly Premium equipment line with the larger 10.25-inch screens) be sure to highlight this to the buyer. 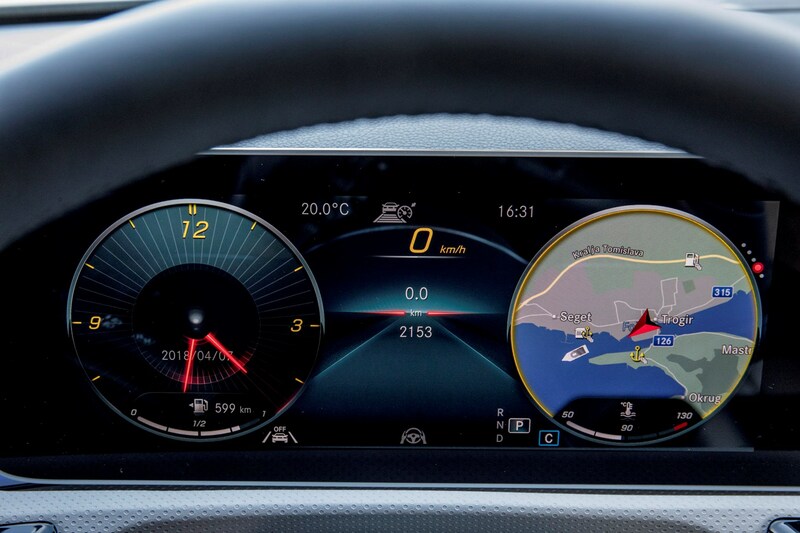 Cars with said options will be far more sought after, and should command a higher price. 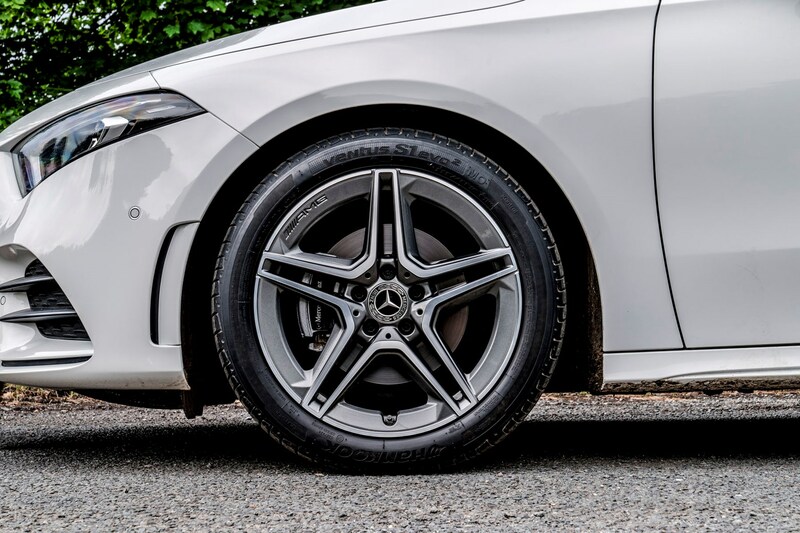 As usual, give the car a thorough going over before advertising and get any dents in the bodywork or nicks in the alloy wheels sorted out. 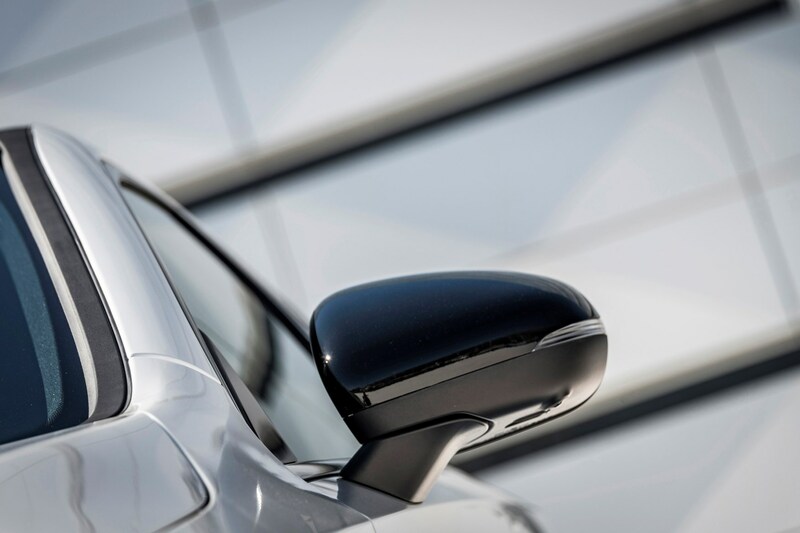 Also take the car for a full valet, and take plenty of good, clear photos if you’re selling privately. 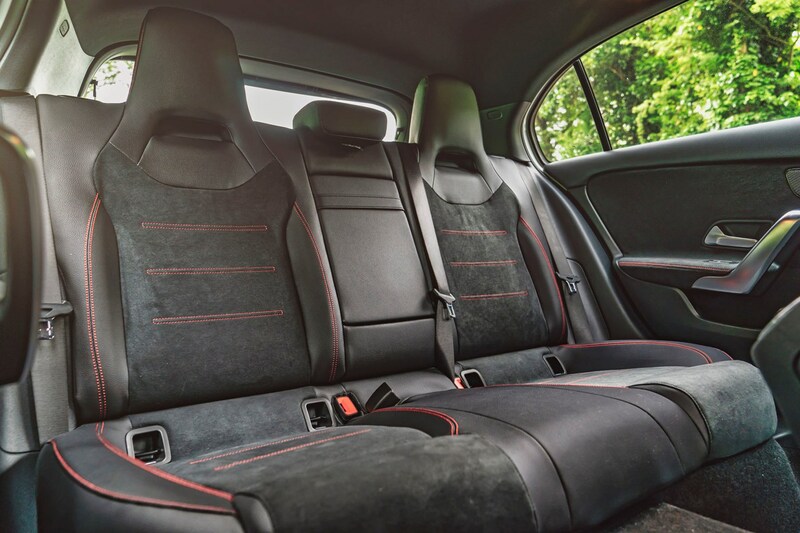 Make sure you’re asking the right price for the car with a Parkers Valuation, too.